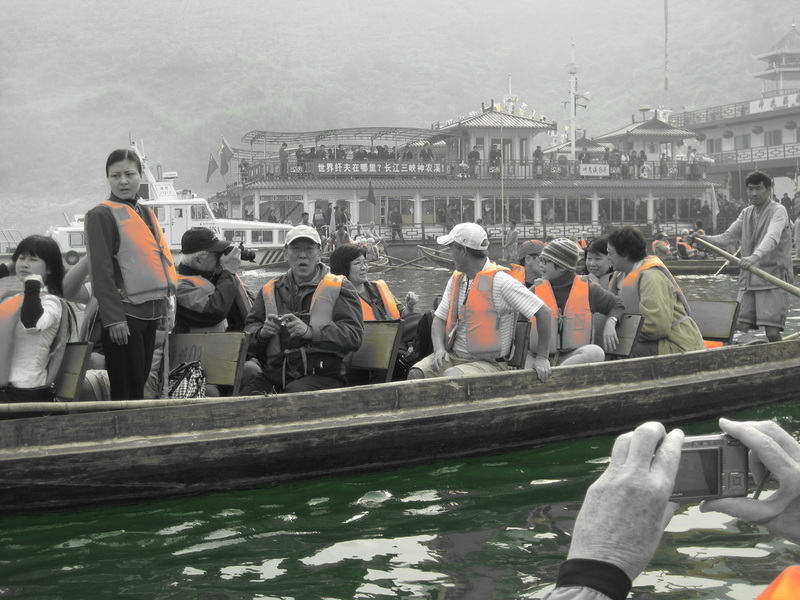 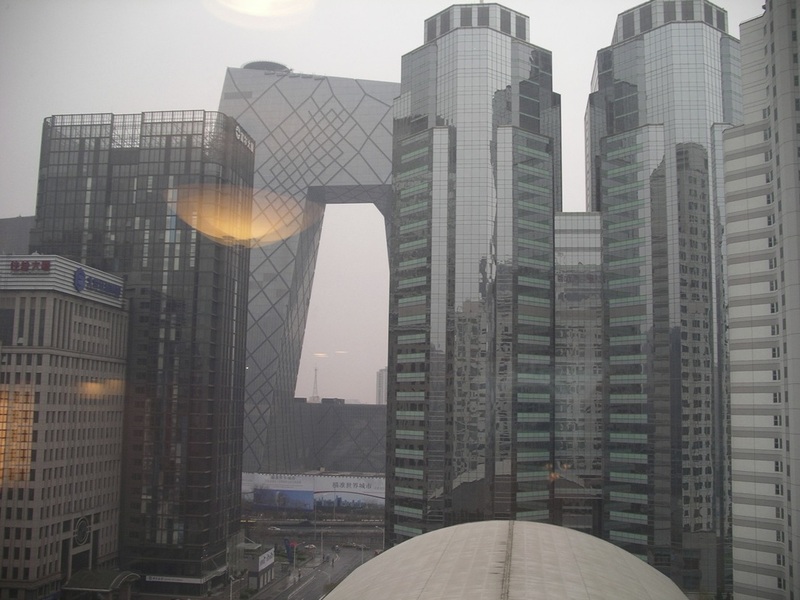 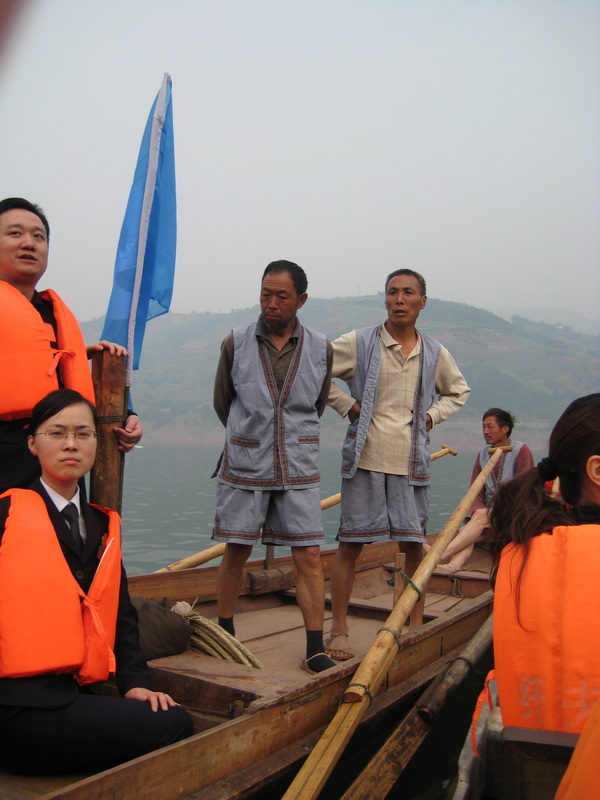 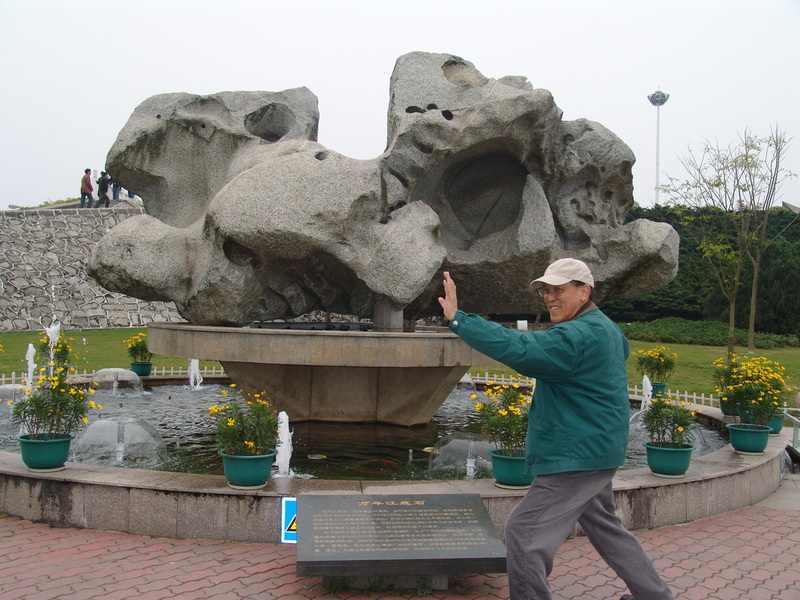 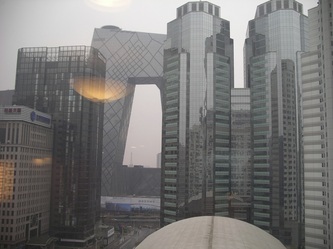 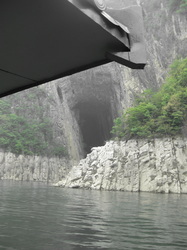 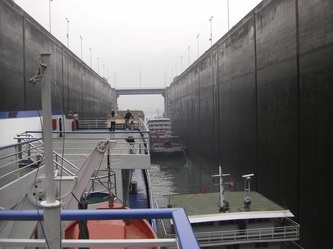 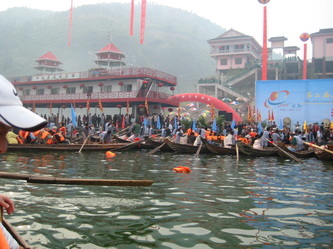 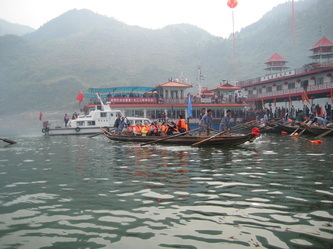 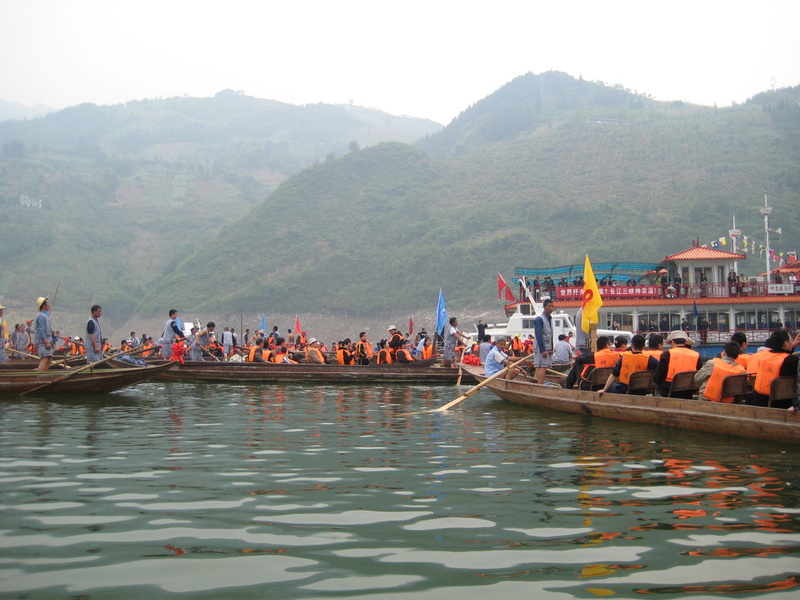 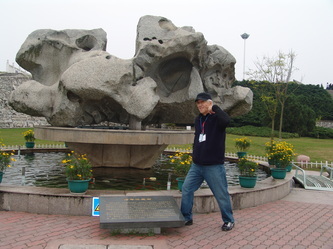 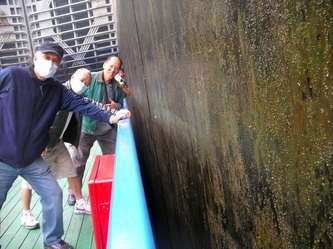 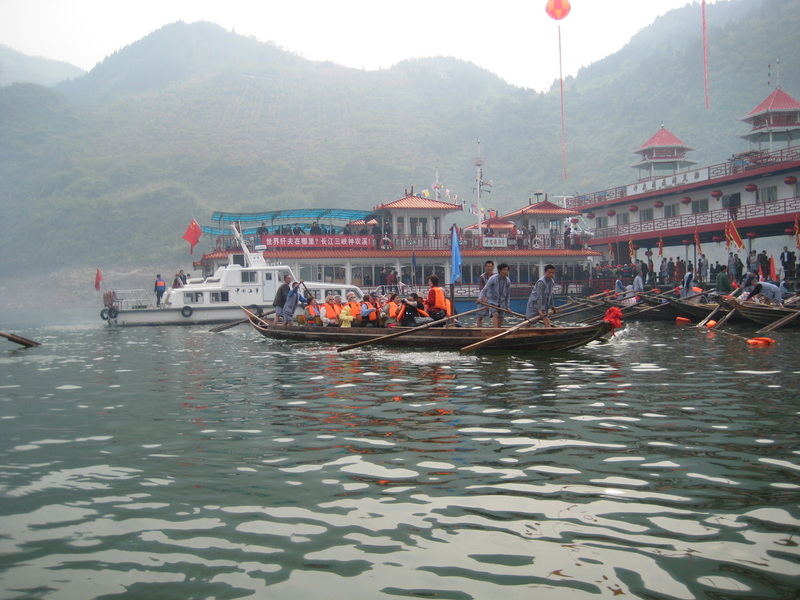 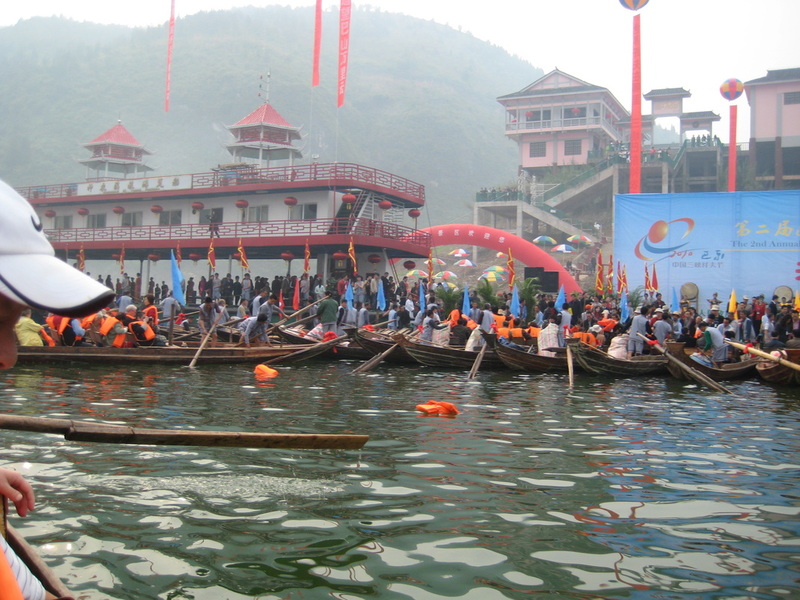 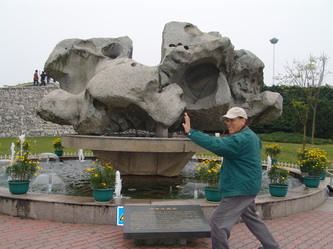 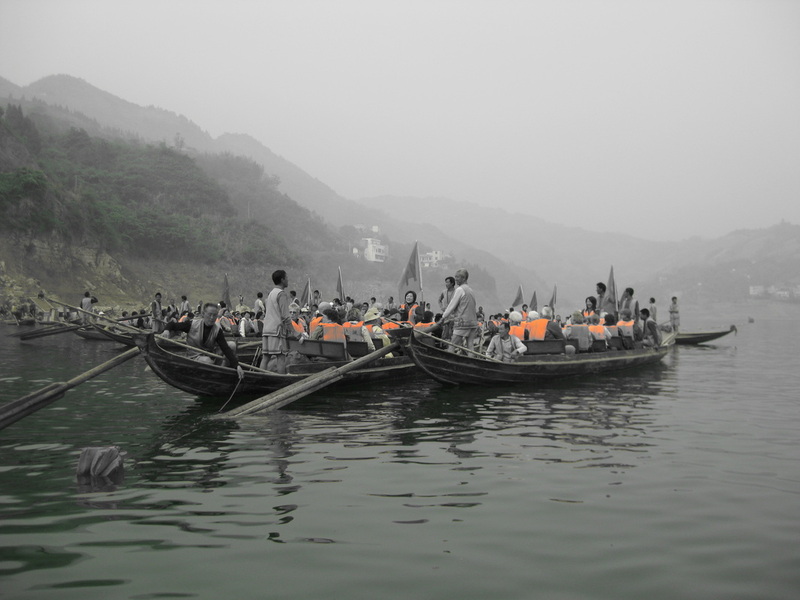 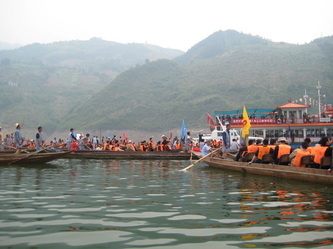 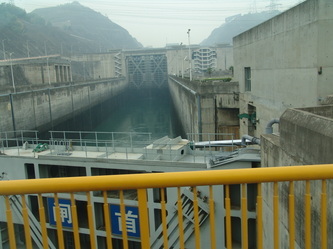 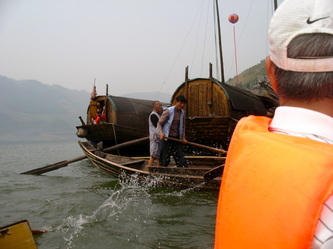 Click here to view videos on the Yangtze River. 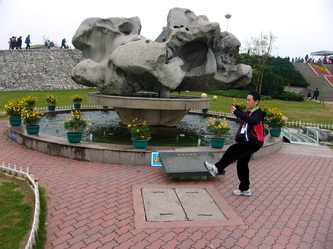 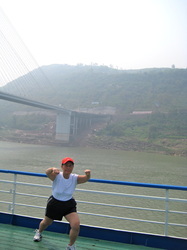 We flew to Wuhan where we then took a long four hour bus ride to Yichang, the Gateway to the Three Gorges. 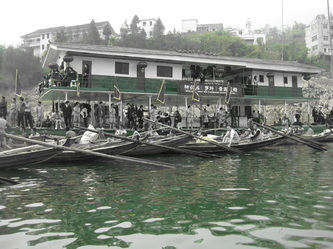 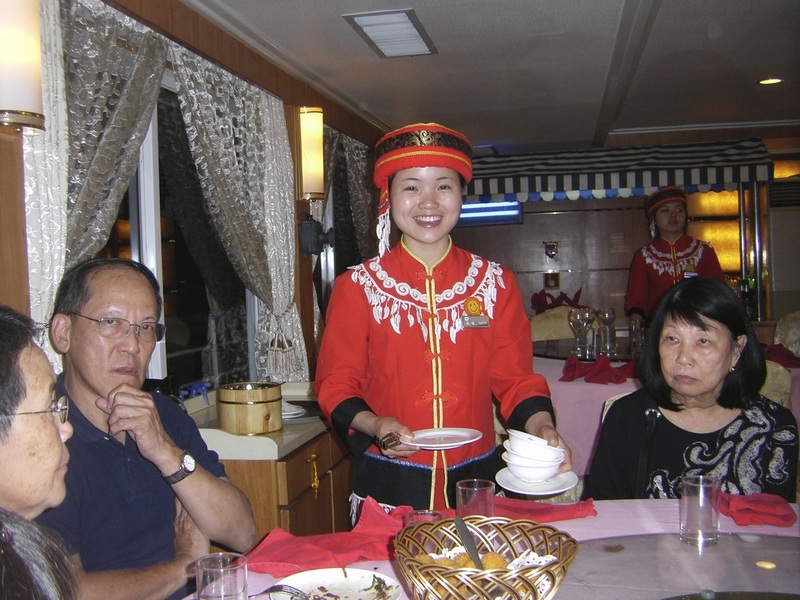 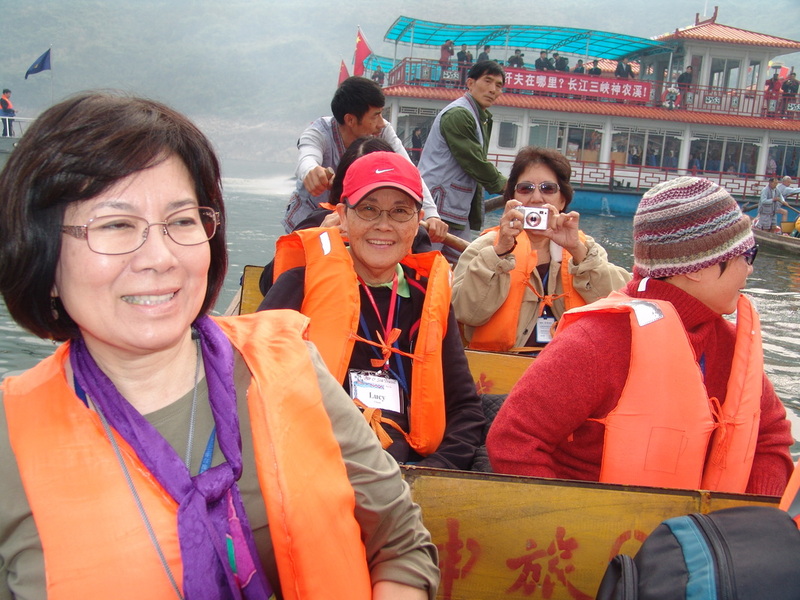 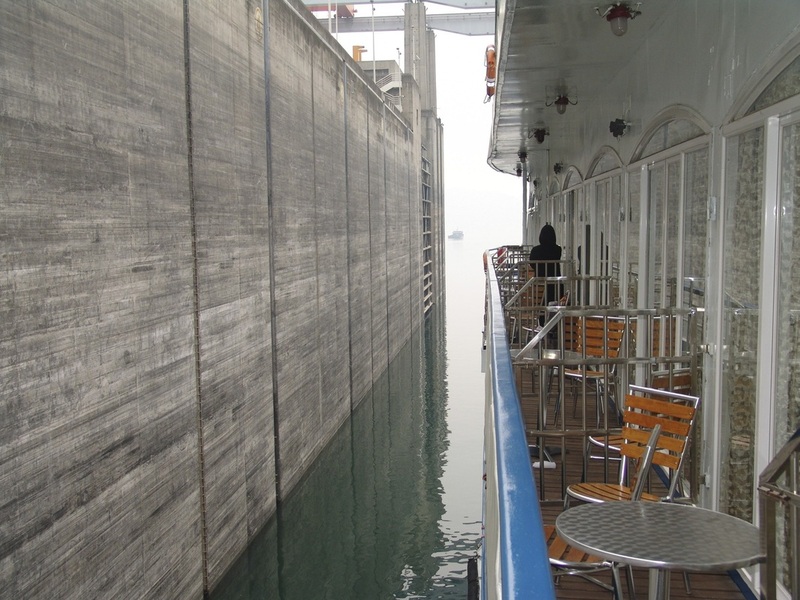 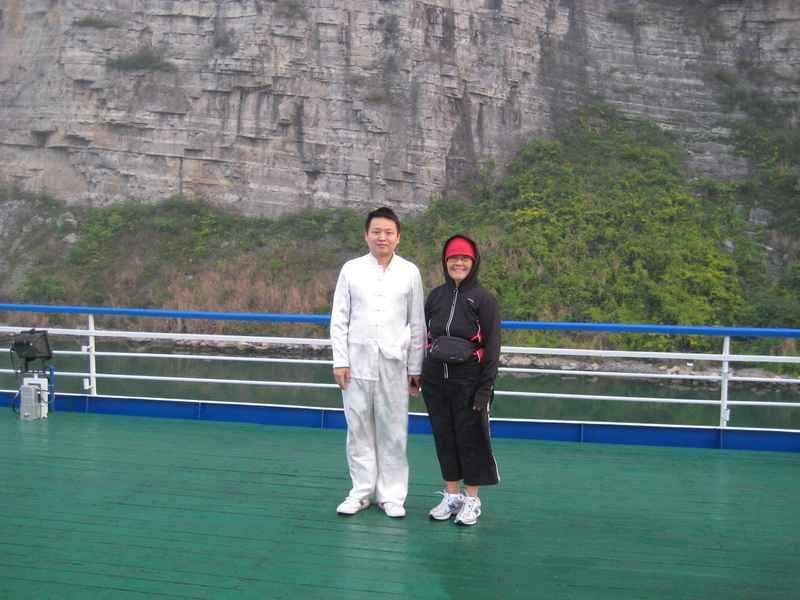 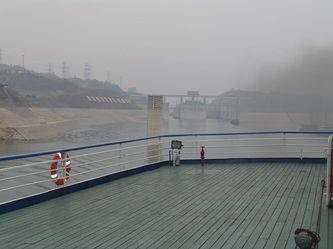 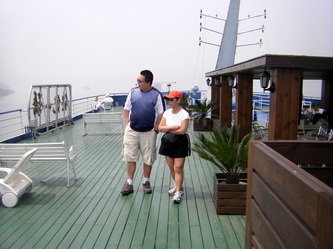 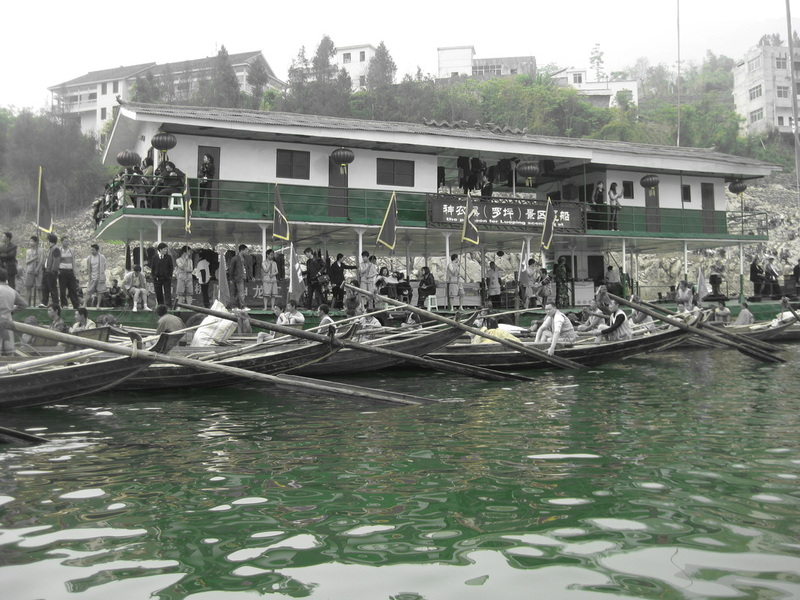 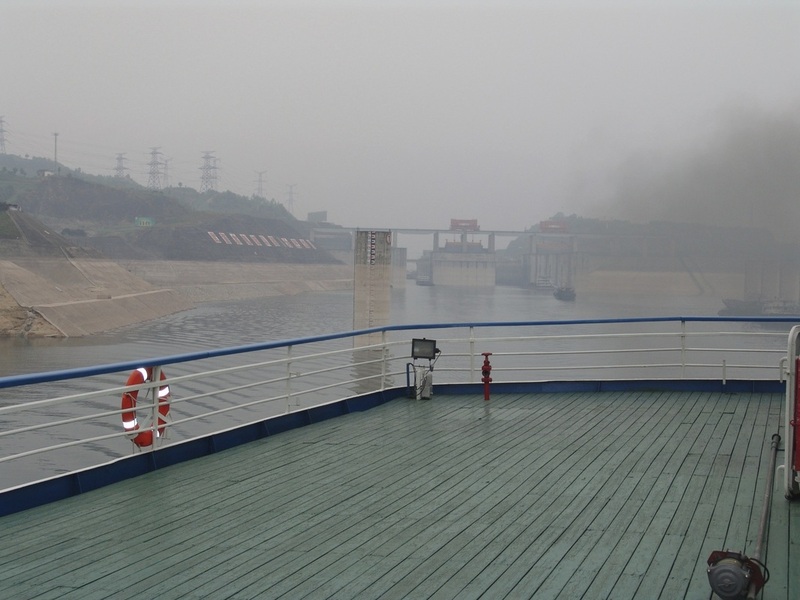 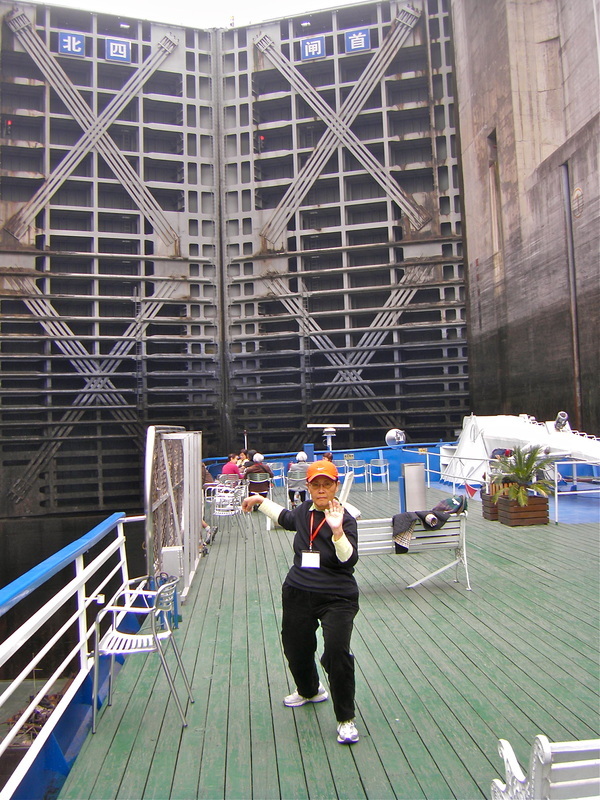 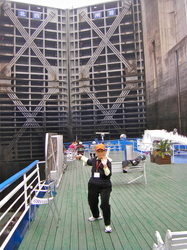 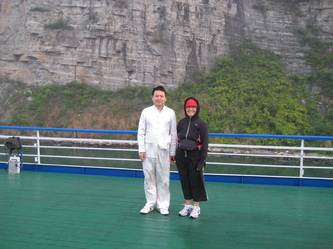 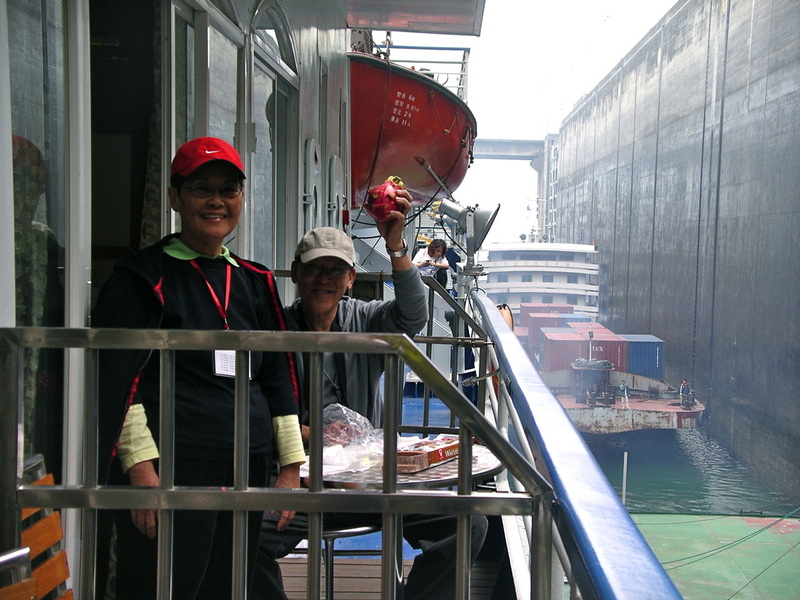 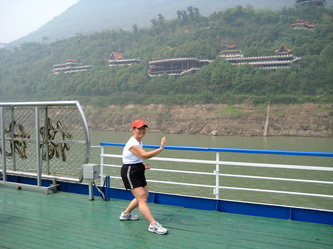 Here began our Yangtze River Adventure on the 5 Star Cruise Ship, the President No. 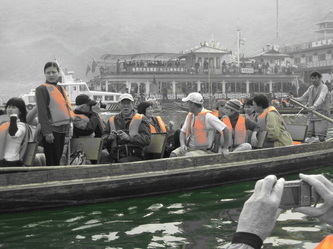 We have tried to document our many one of a kind experience in the many photos shown here. 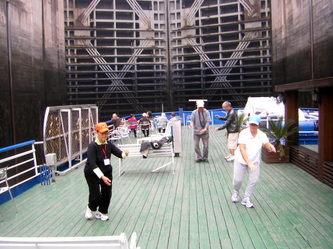 We couldn’t really believe what we were actually experiencing, such as going through the 5-Step Ship Lock, seeing the various farming and industrial towns along the way, enjoying the night life with Nancy’s karaoke singing, Victor outlasting everyone in musical chairs, and Ken being the only one to blow a long narrow balloon used for shaping animals, etc. 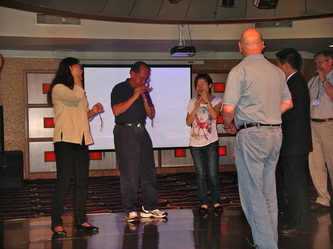 We were a very talented group!! 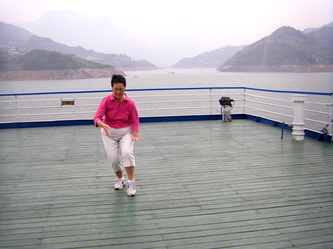 Last, but not least, we woke up at 5:30 AM and exercised by doing Luk Tung Kuen and had the experience to really concentrate and balance while the boat was rocking. PLUS we went outside on the deck to do Tai Chi with the Tai Chi Master, smelling the diesel fuel and shivering and trying to keep our balance on the wet wooden deck as the boat was sailing too! 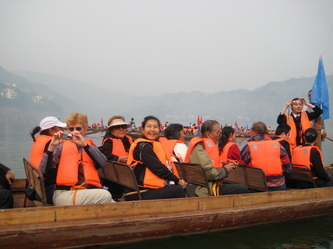 All in all, a once-in-a-lifetime experience to say the least! 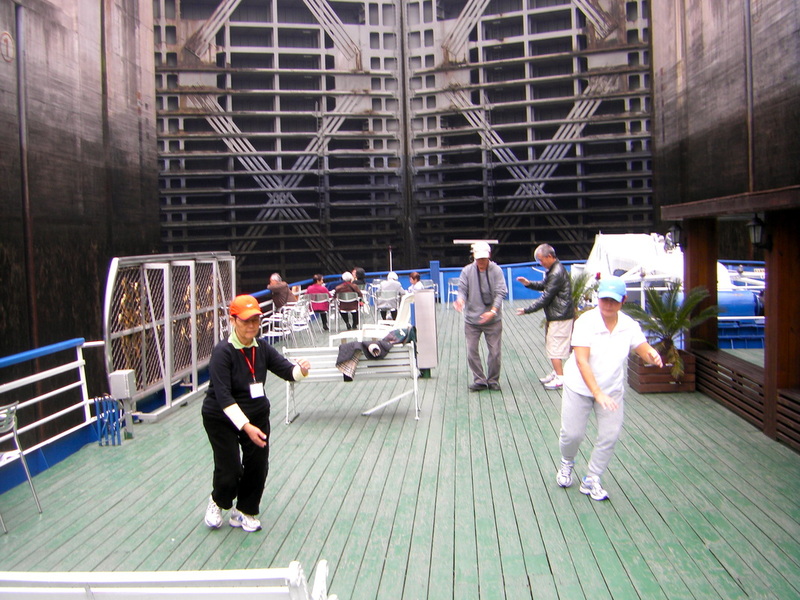 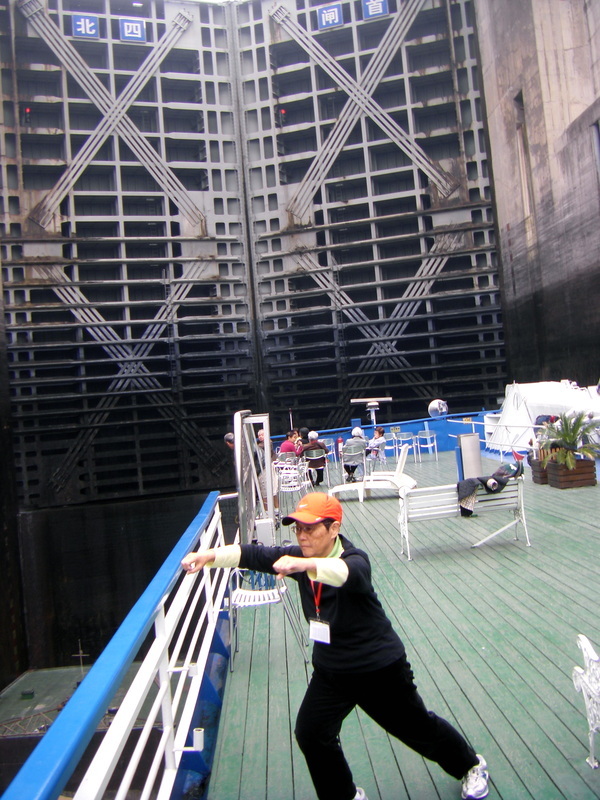 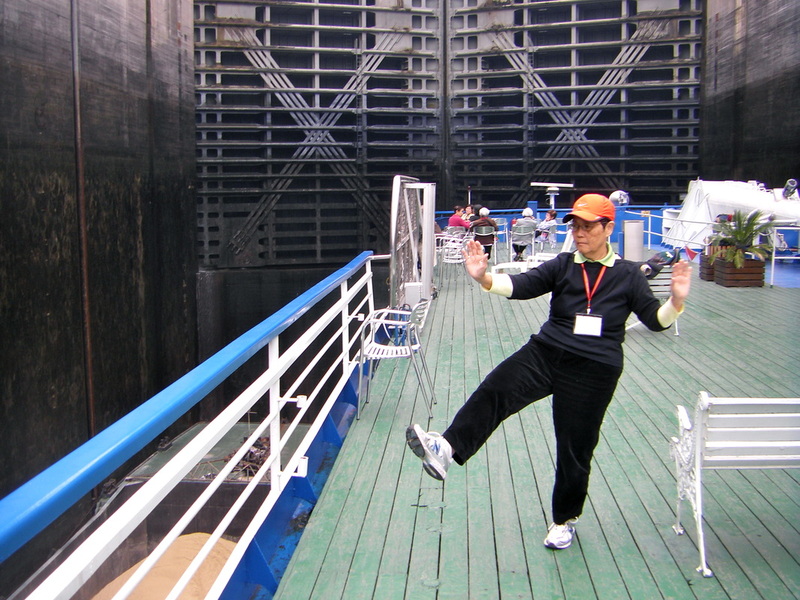 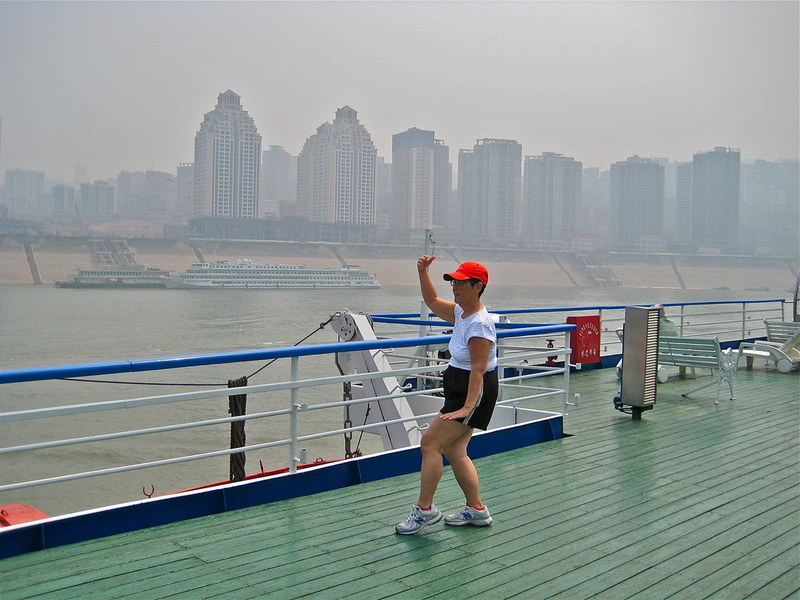 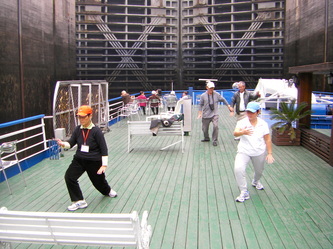 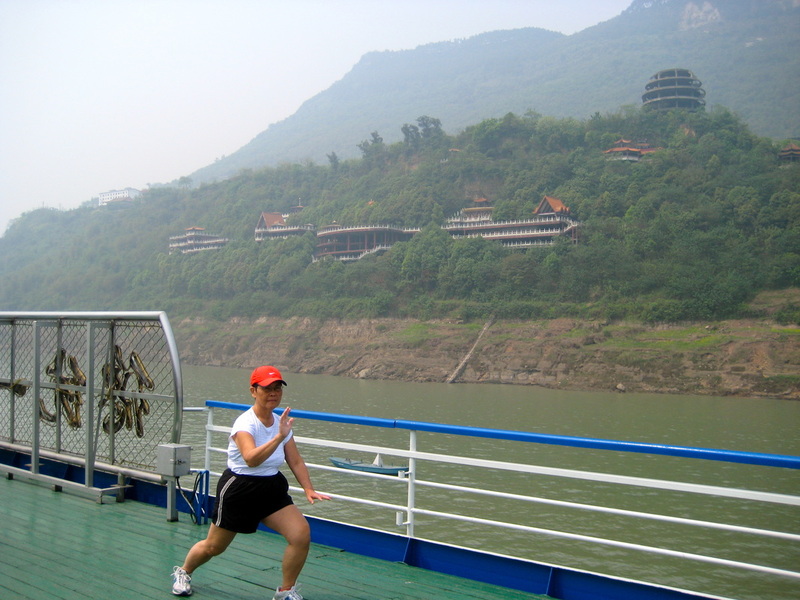 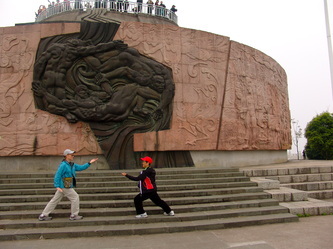 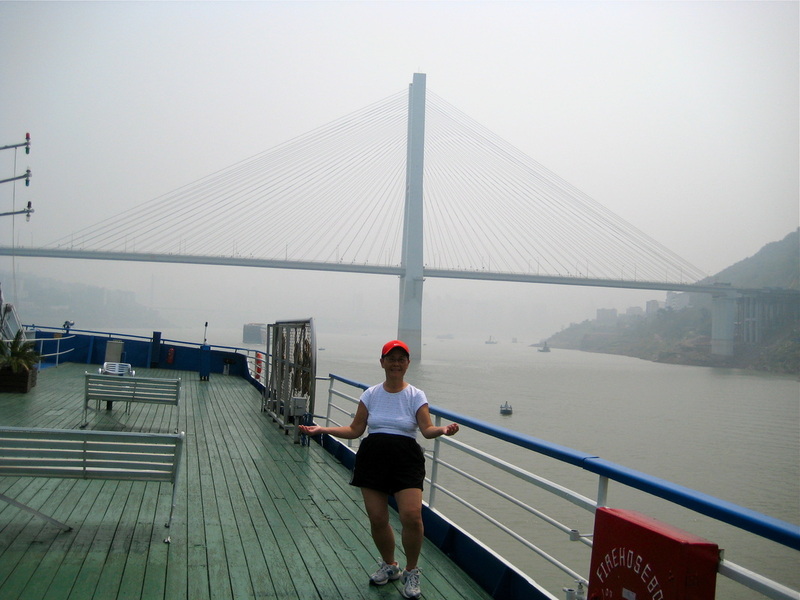 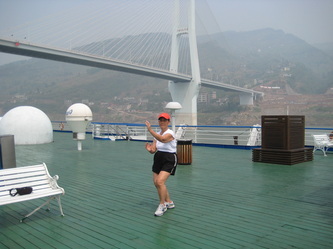 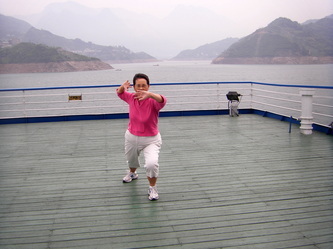 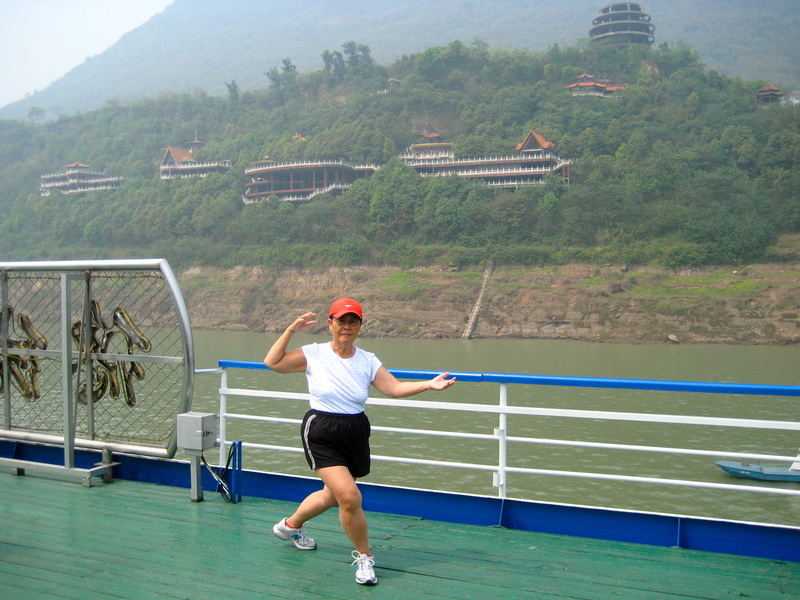 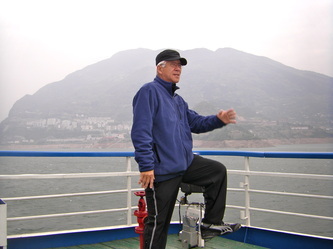 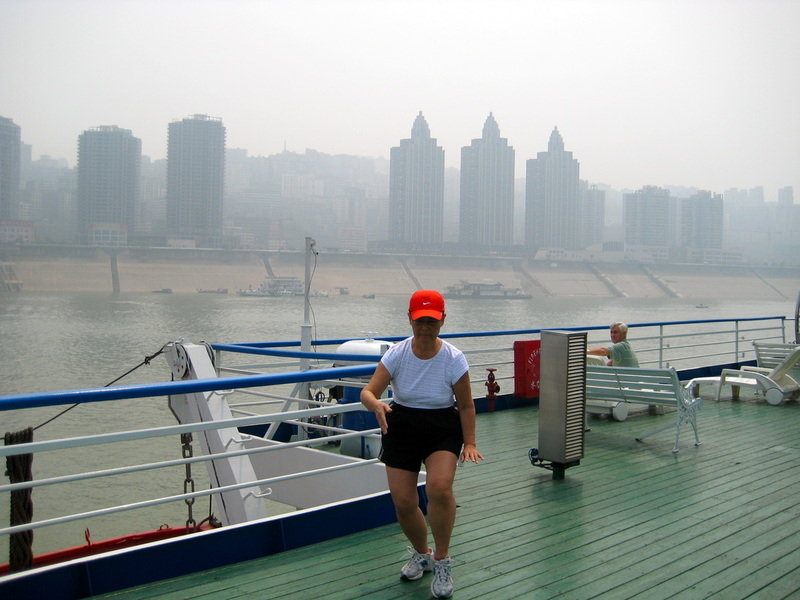 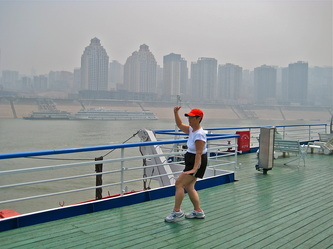 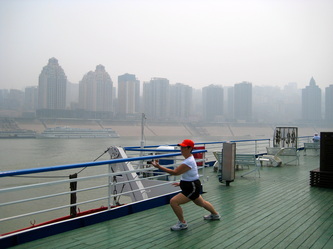 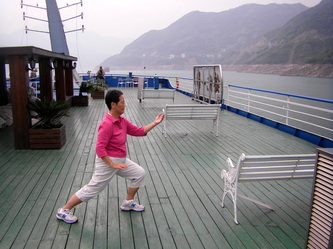 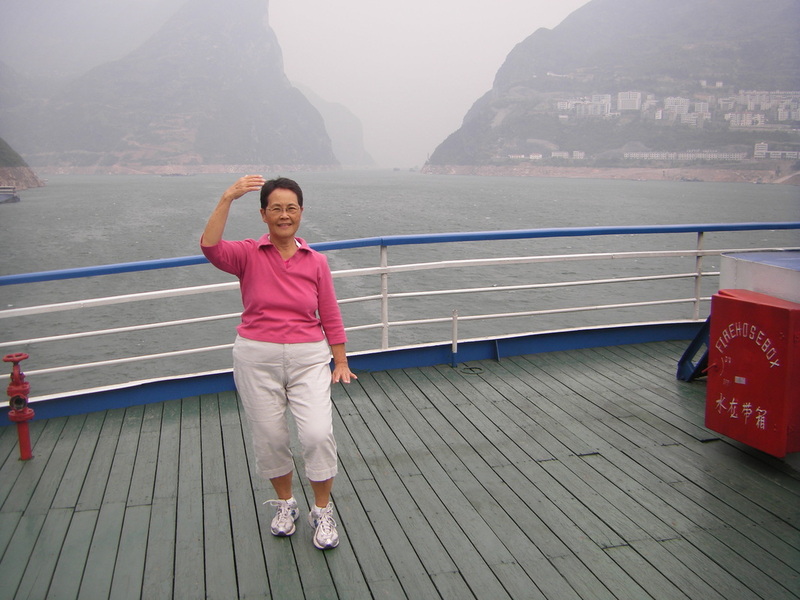 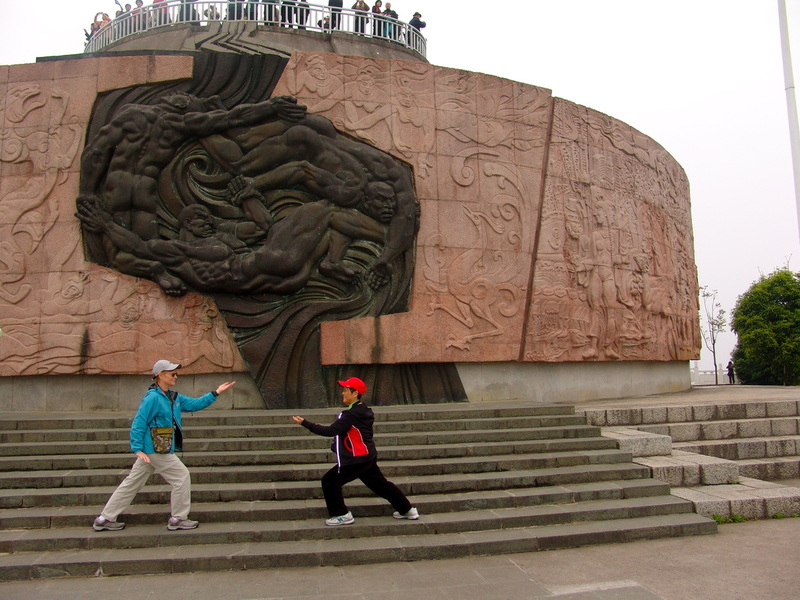 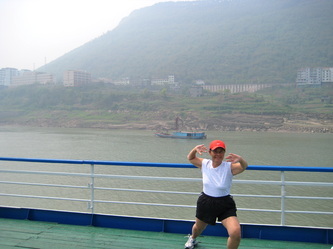 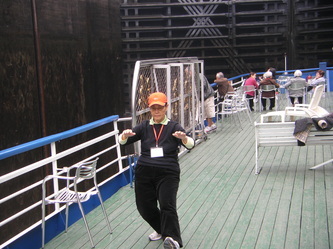 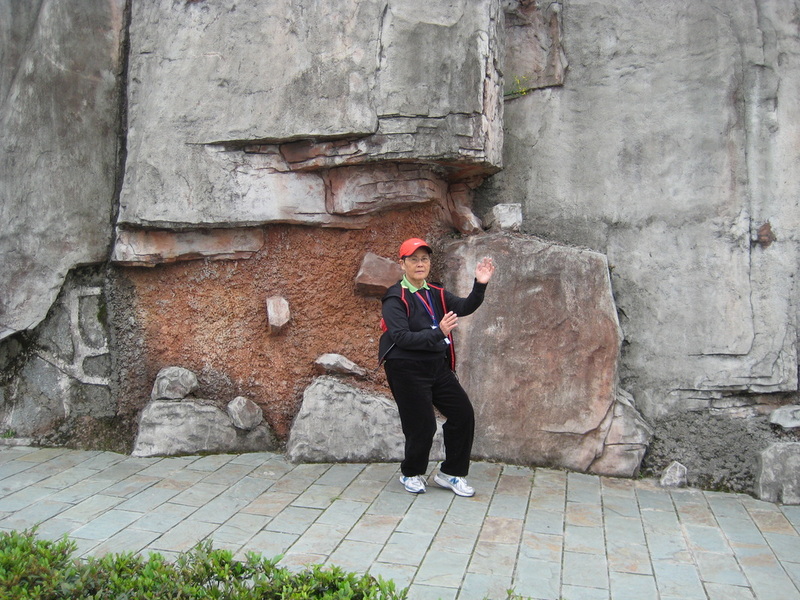 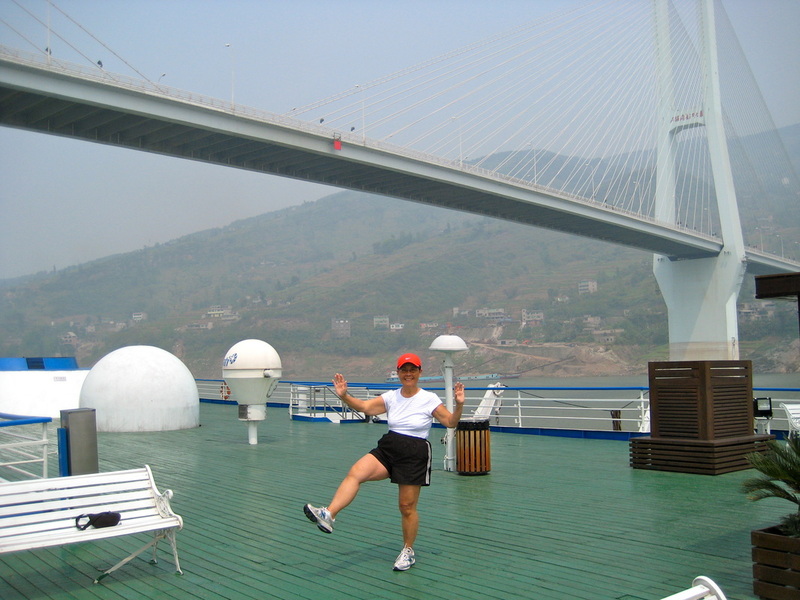 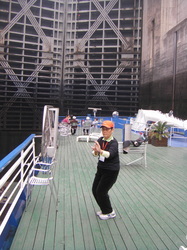 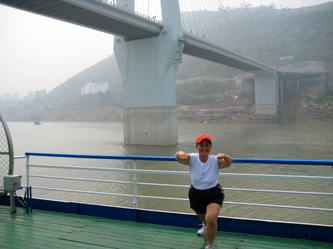 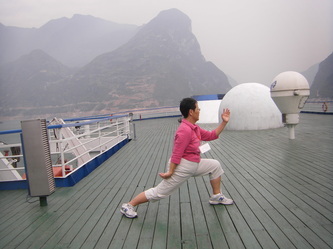 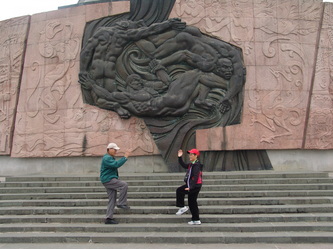 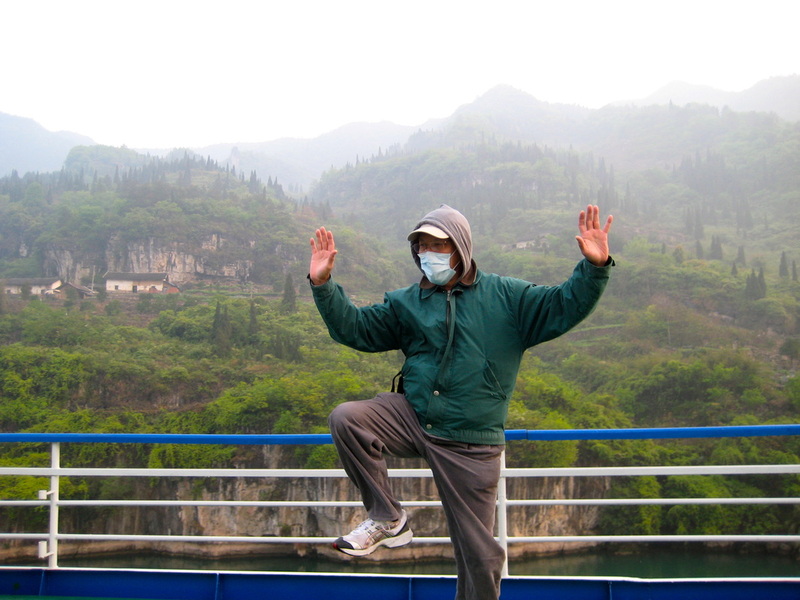 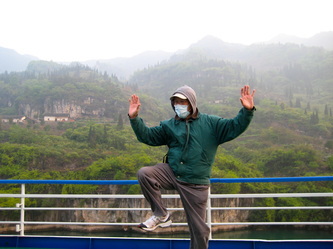 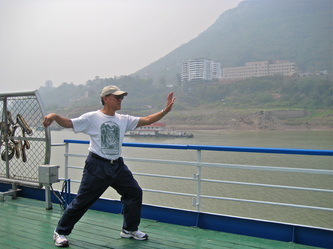 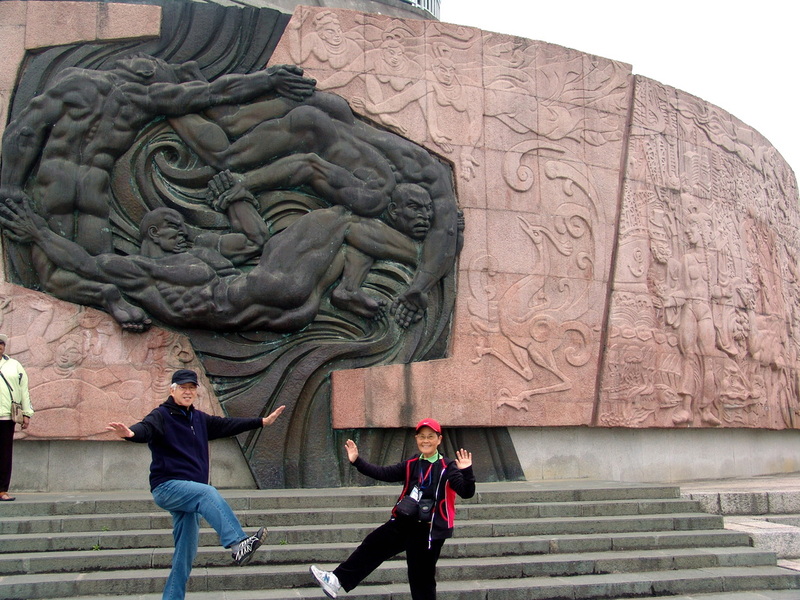 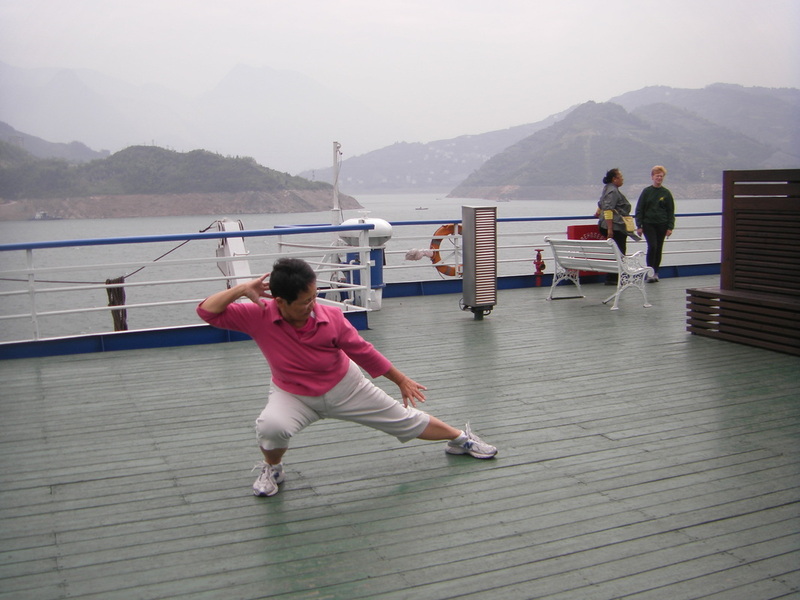 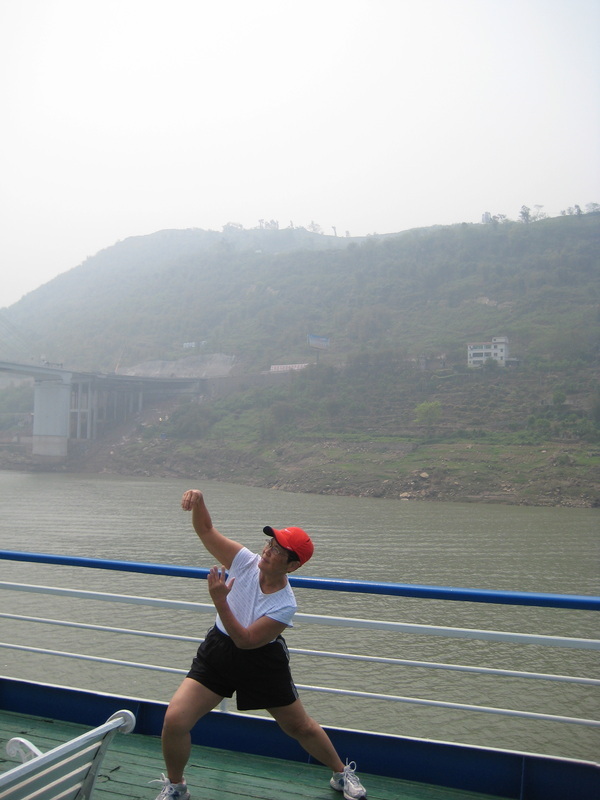 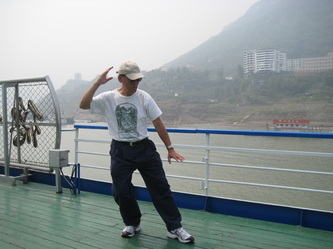 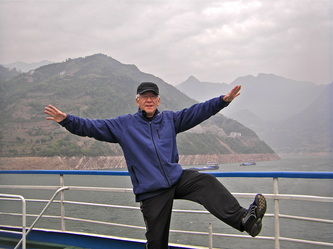 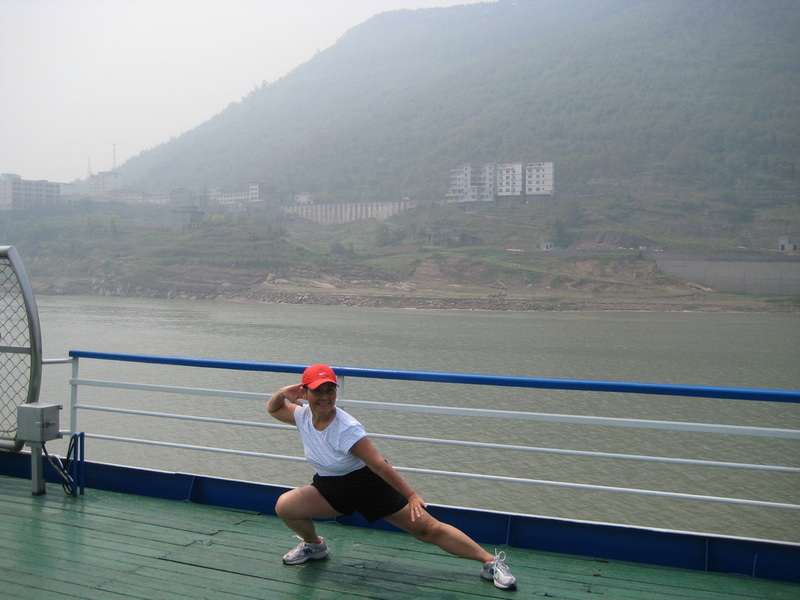 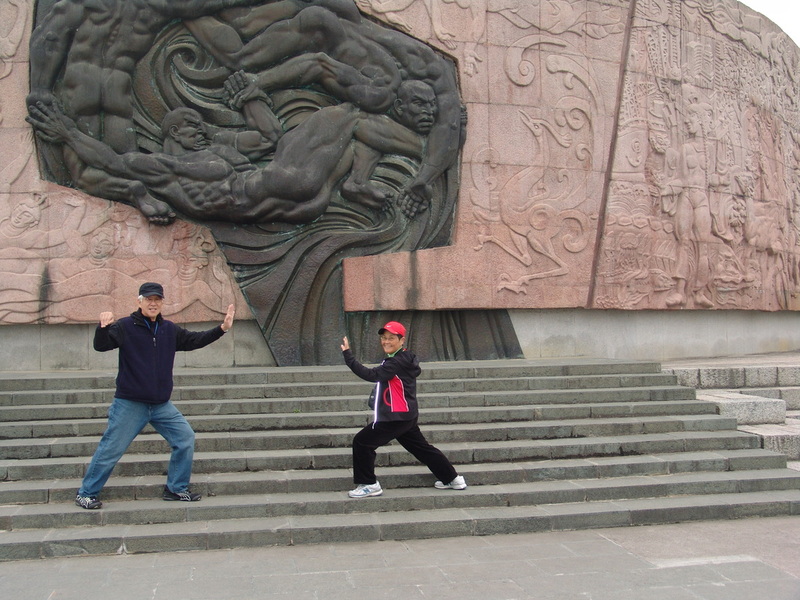 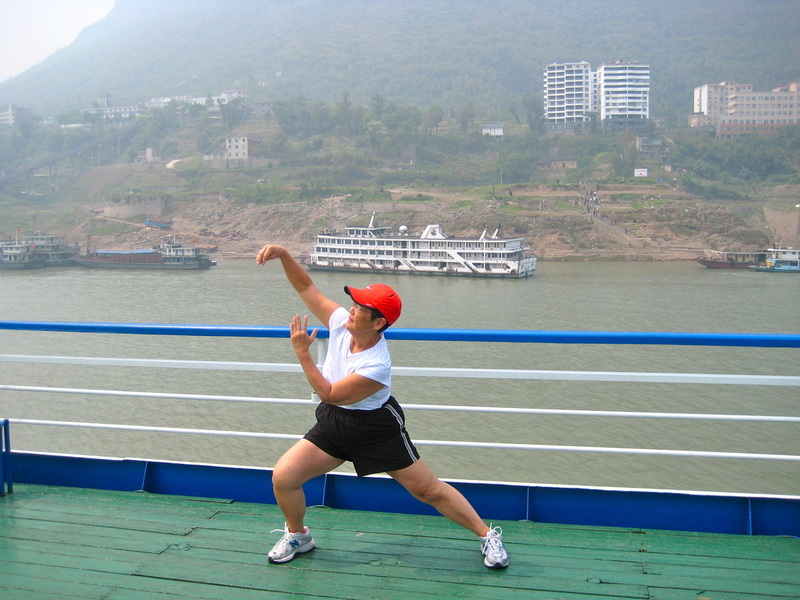 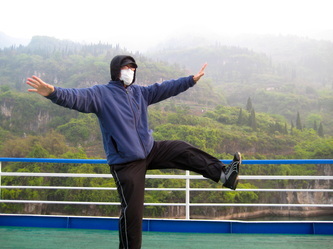 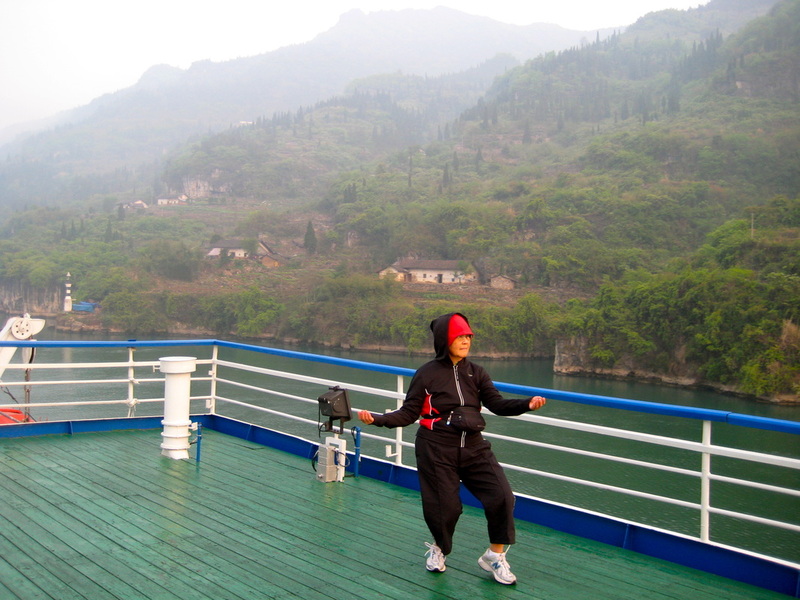 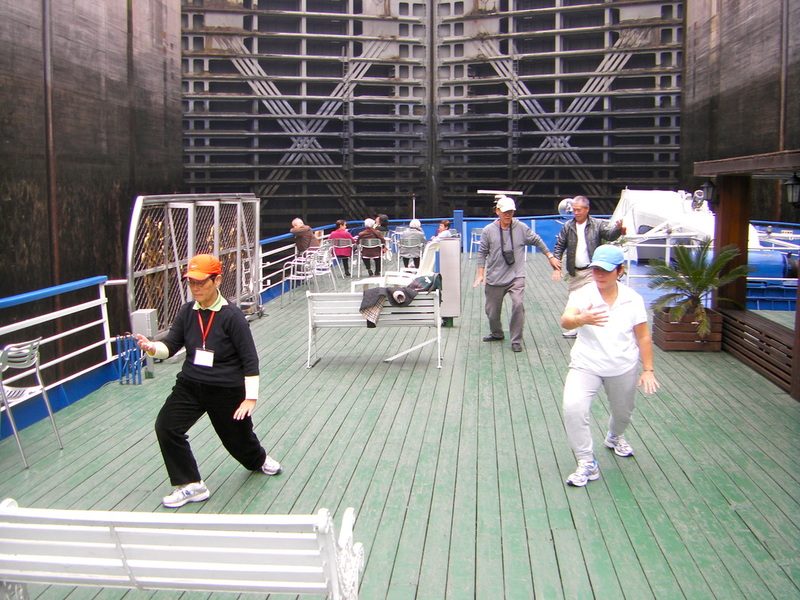 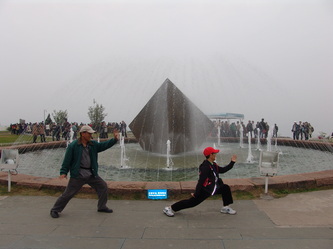 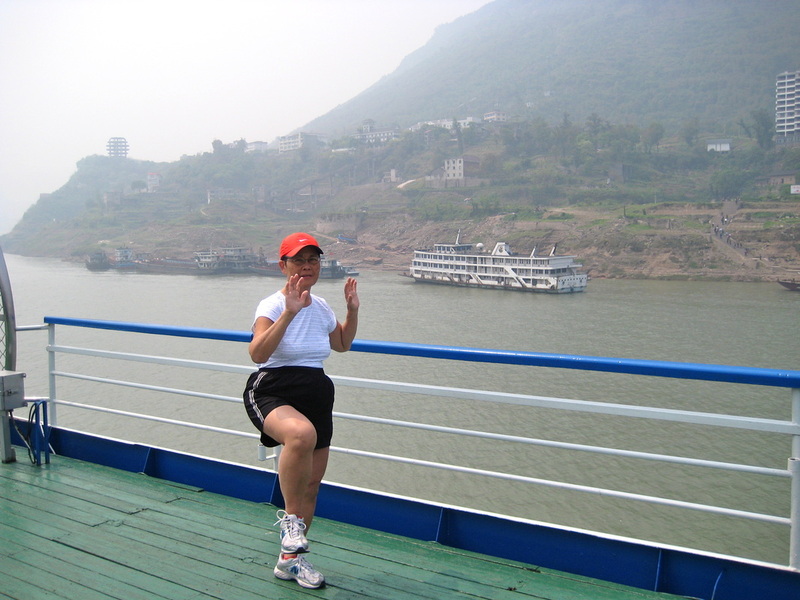 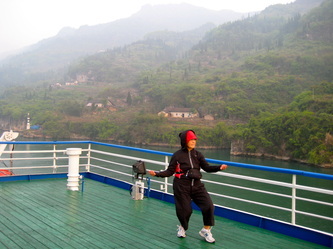 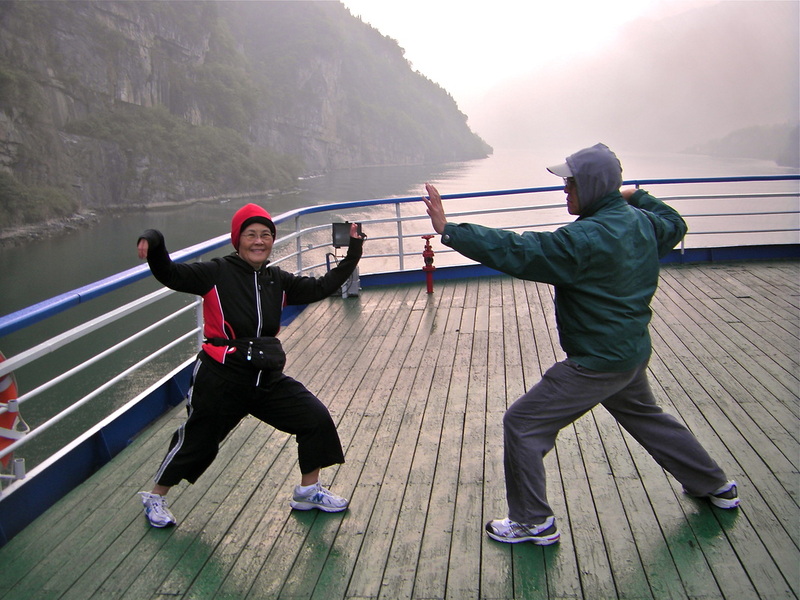 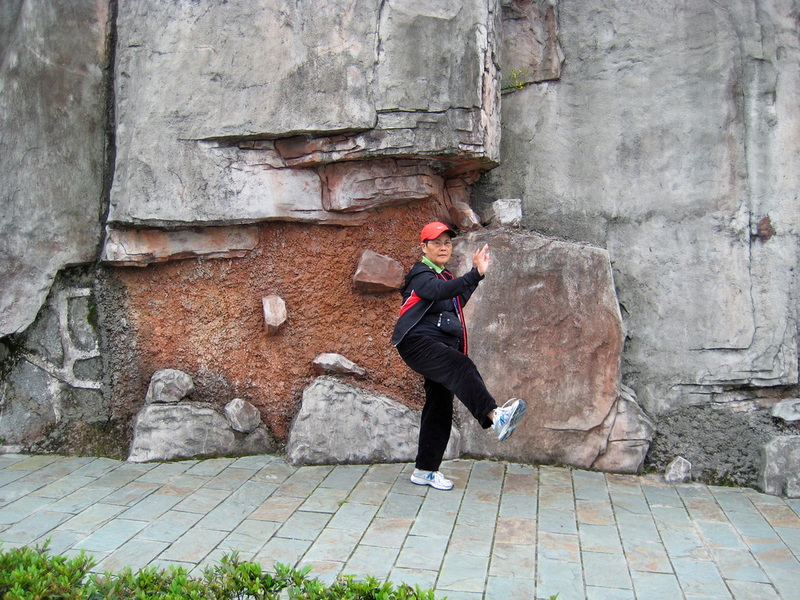 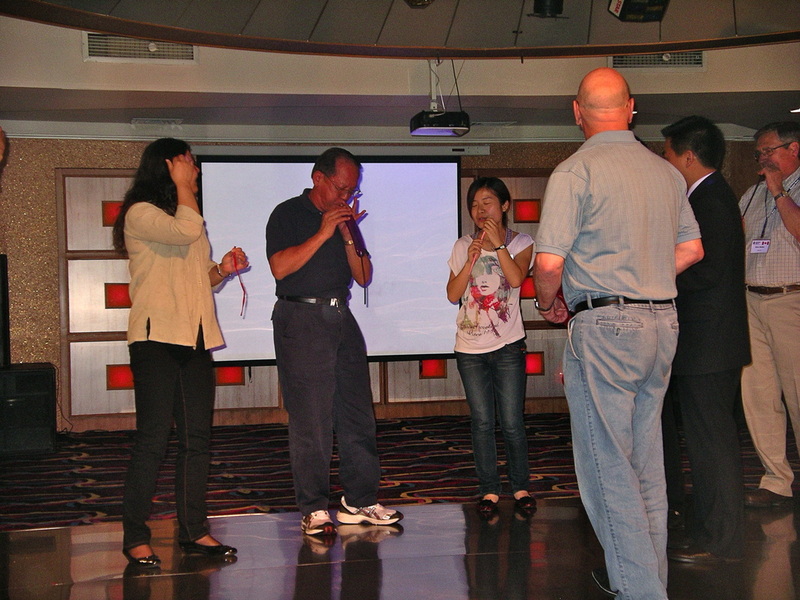 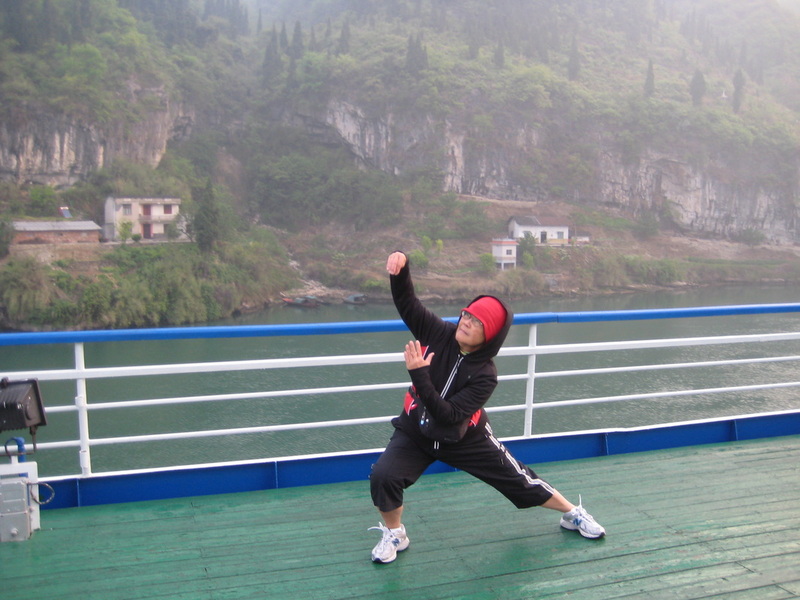 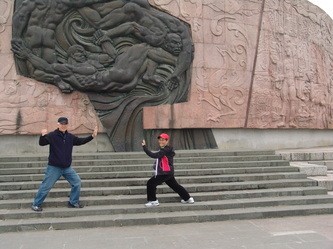 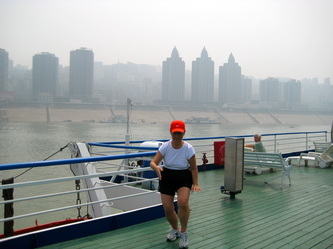 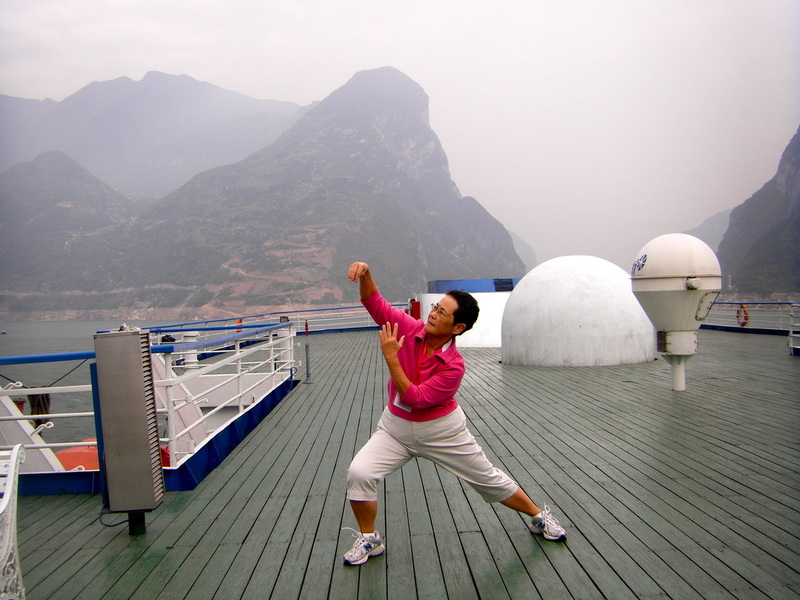 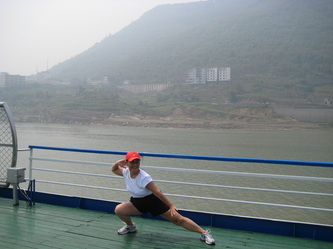 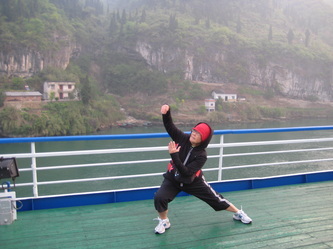 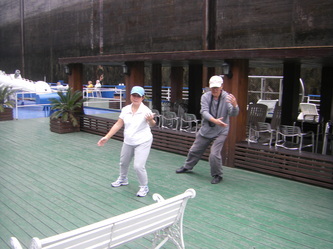 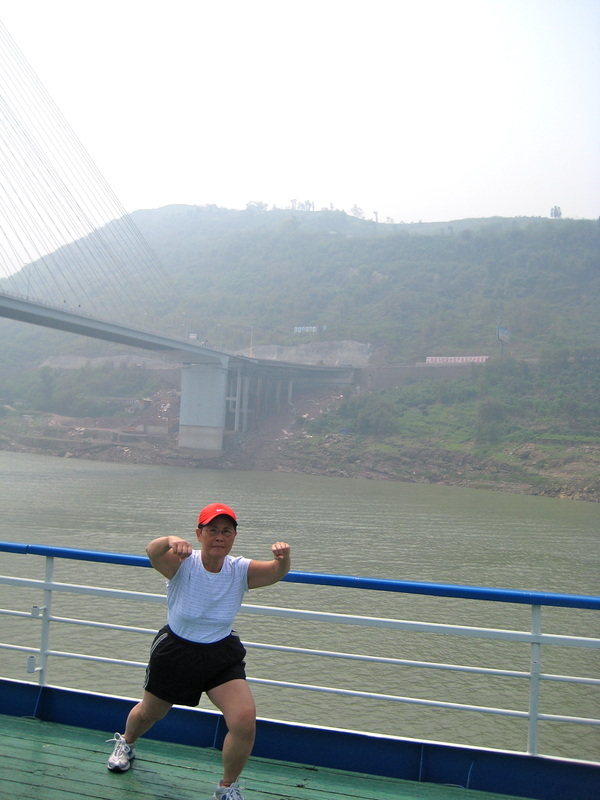 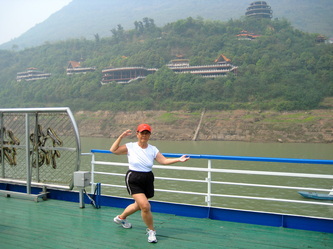 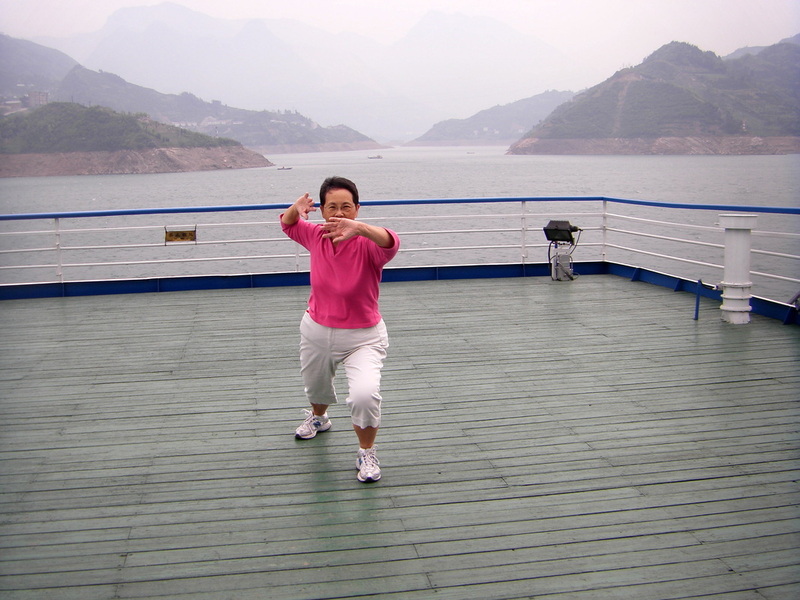 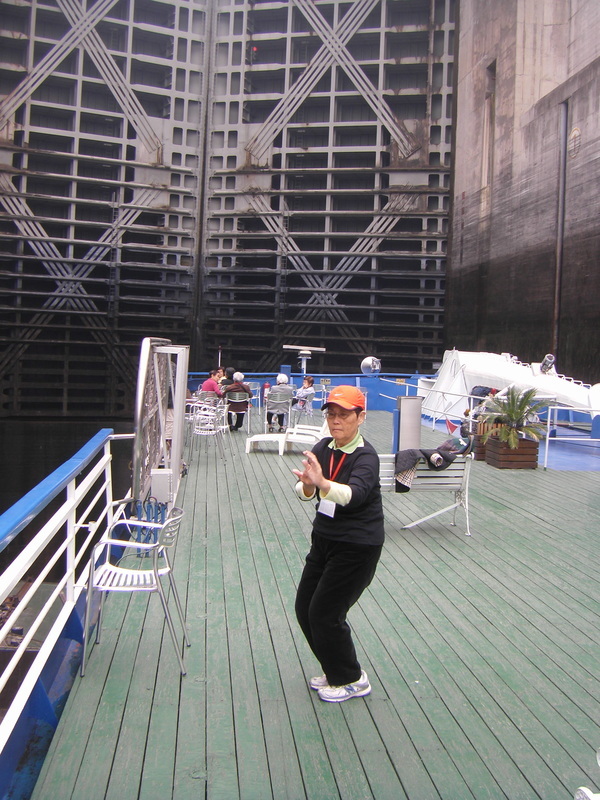 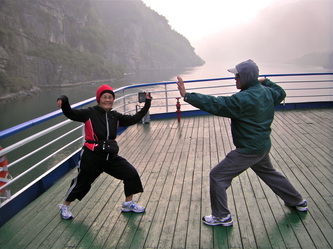 What nicer place to do Tai Chi than on the cruise ship while cruising on the Yangtze River!! 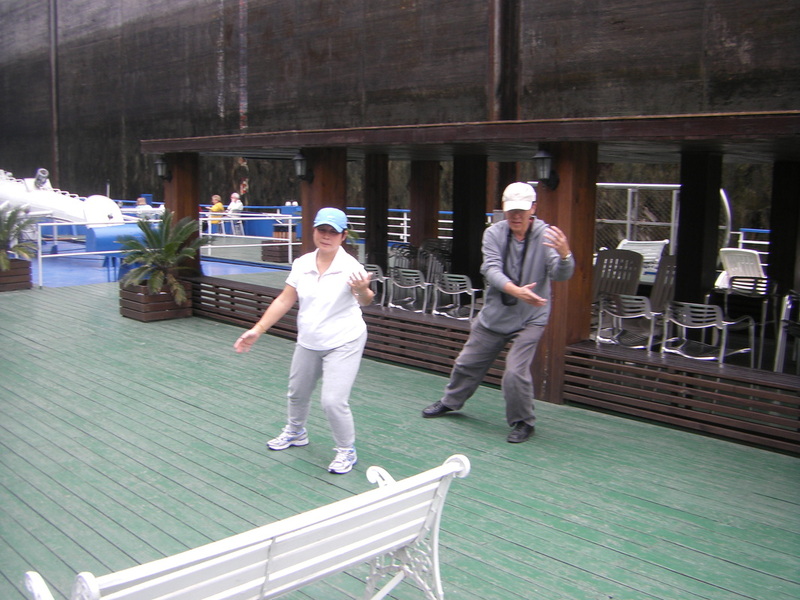 Thanks to Victor’s foresight in packing his iPod and external speaker, we were able to dance and relax and do Tai Chi just like how we do it at home in Hawaii! 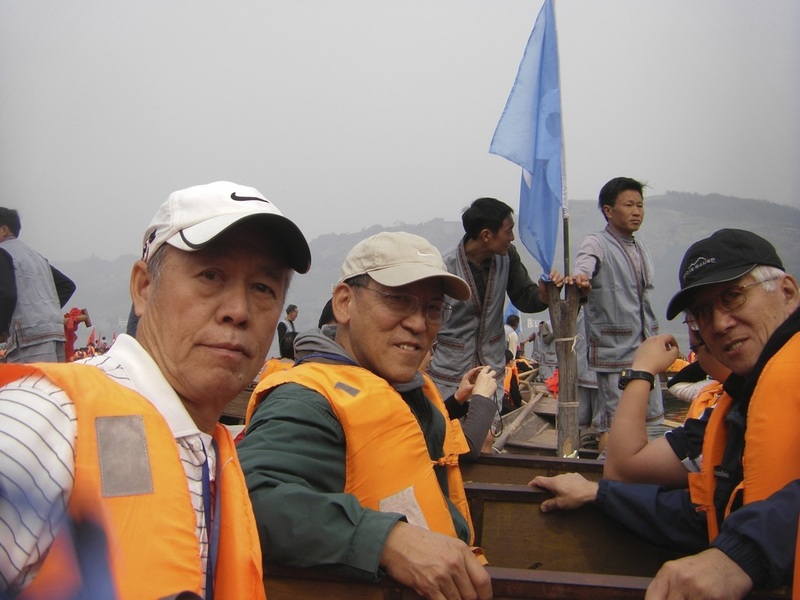 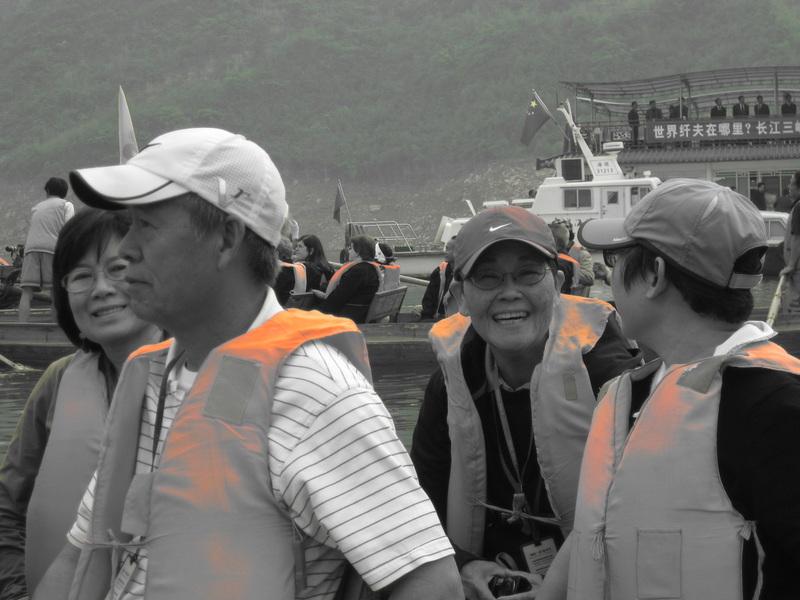 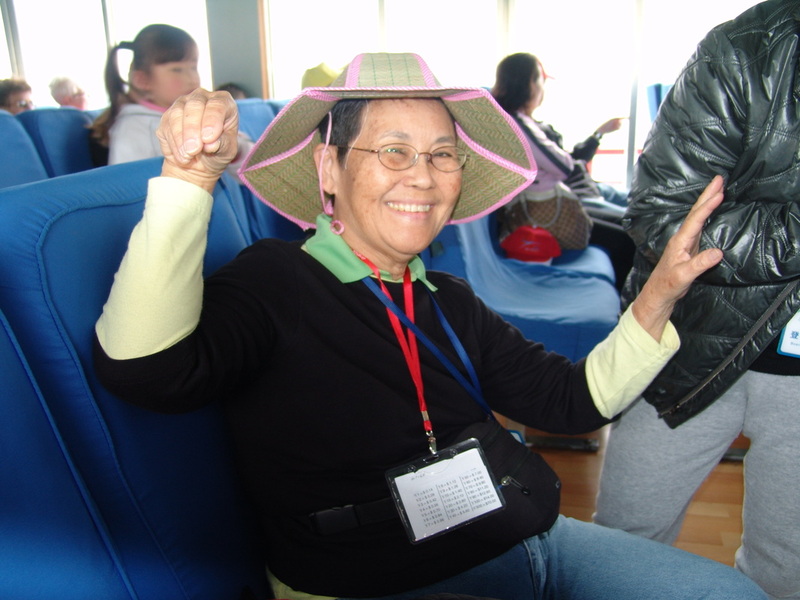 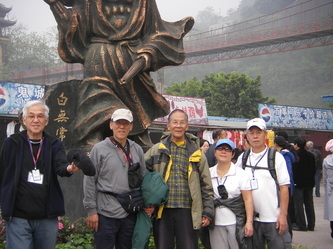 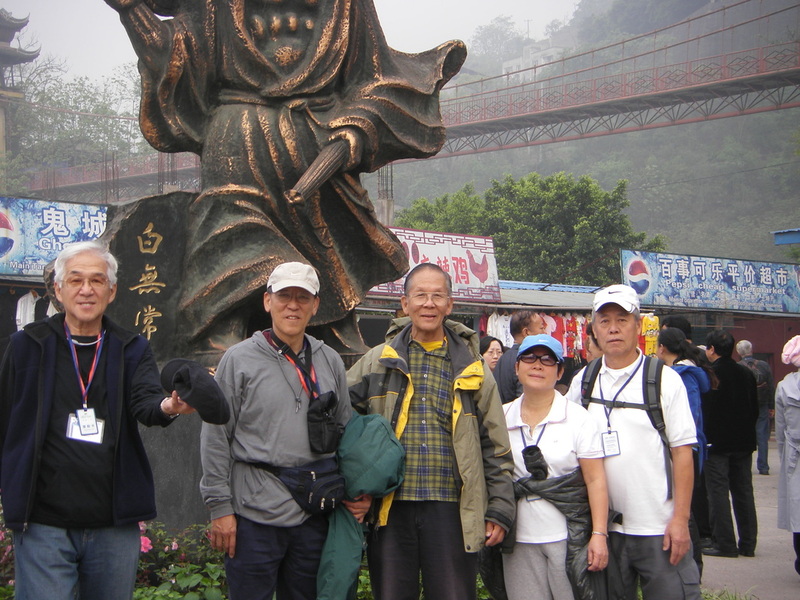 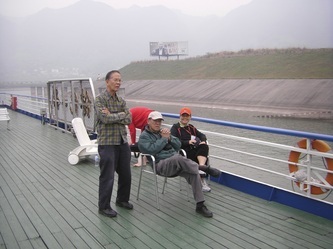 The closeness among friends on the ship and peacefulness of the cruise, enhanced our wonderful memories as we sailed upstream on the Yangtze River. 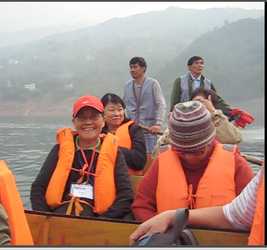 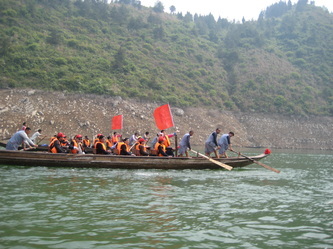 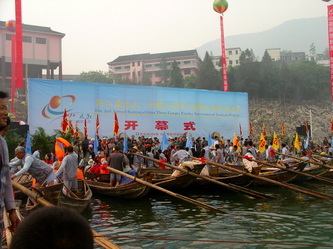 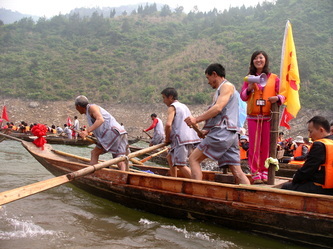 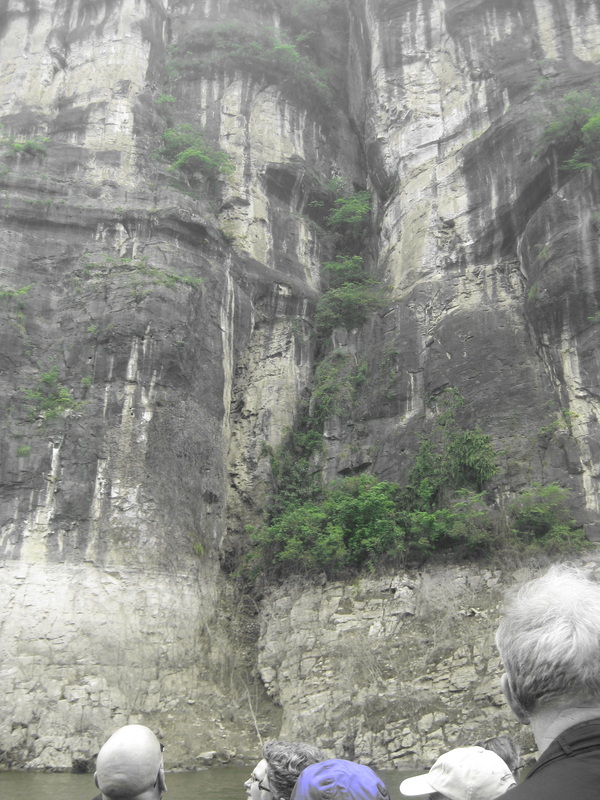 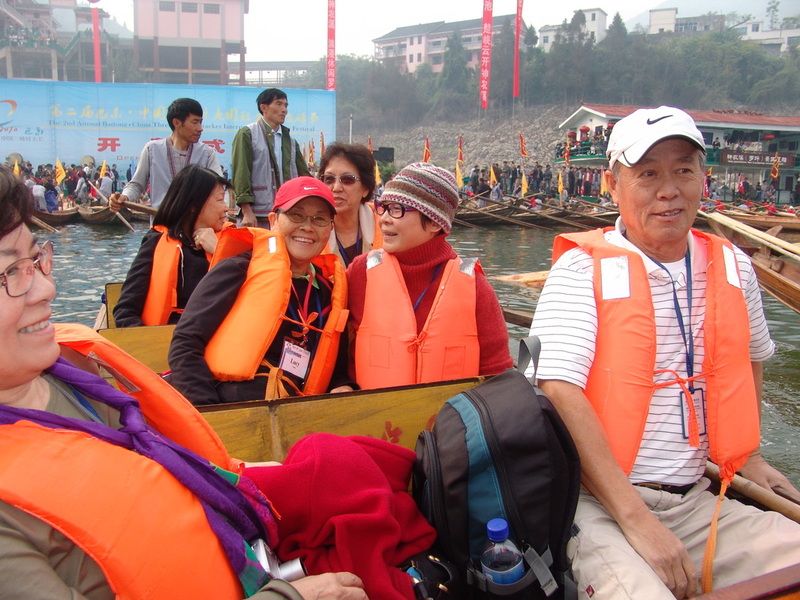 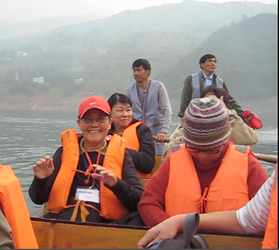 Our excursion in a small boat exploring the Shennong Streams and entering Wu Gorge and its famous meandering waterways was an experience that was very special as this event only occurs certain times of the year. This was the most colorful event as the entire community composed of farmers who live on the mountainside all turned out for this festive celebration, what we know locally here in Hawaii as Ching Ming. 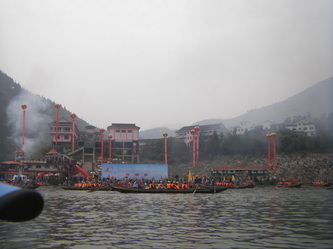 This is time when we honor our ancestors and pay respects with the many family members from all generations coming out to enjoy music, dance, and fireworks. 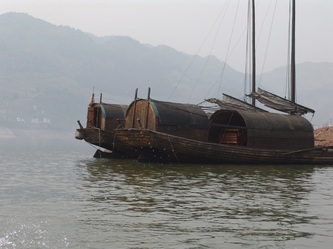 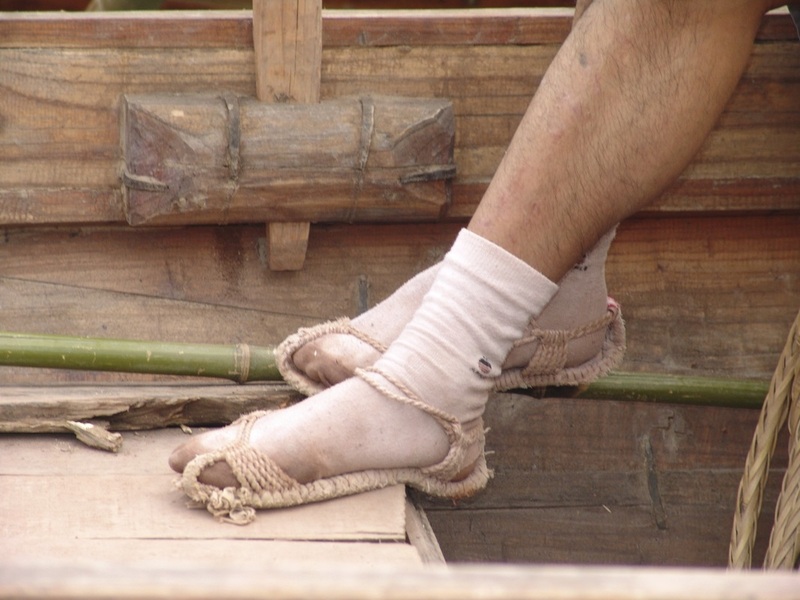 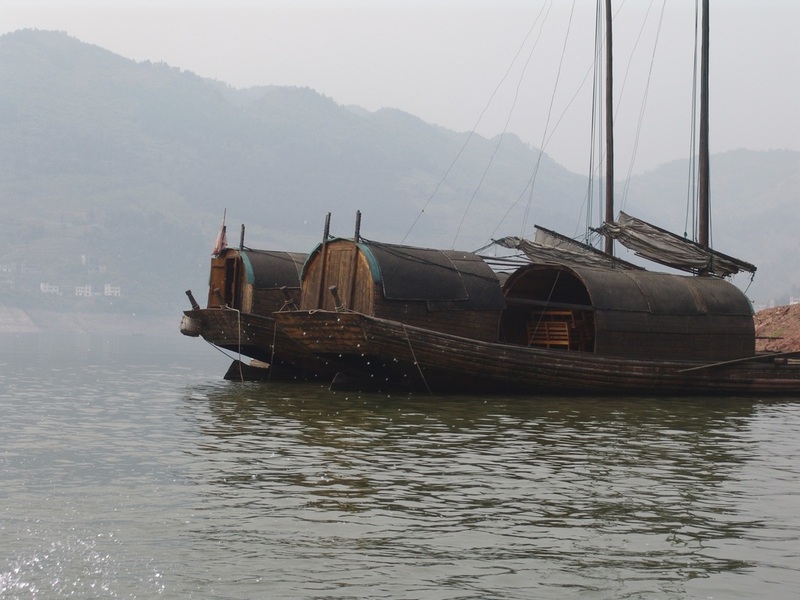 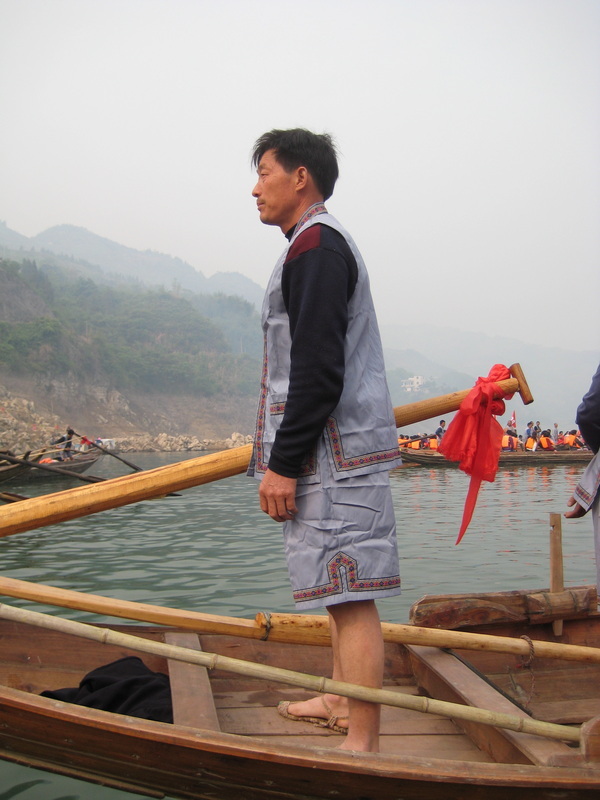 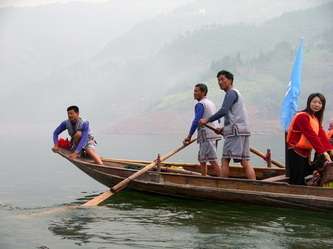 In days of long ago when the Yangtze tributaries such as at the Qutang Gorge, the shortest and narrowest of the 3 gorges had low levels of water, the boatmen would pull the boats to get through the narrow waterways. 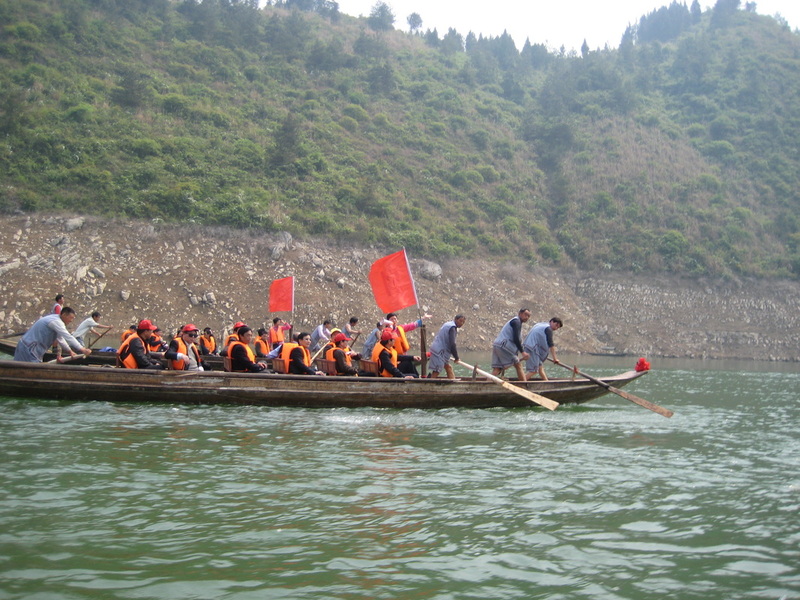 But for us, the water level allowed us to enjoy a boat race with lots of music, singing, cheering and laughter in an unforgettable experience! 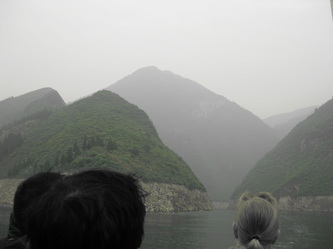 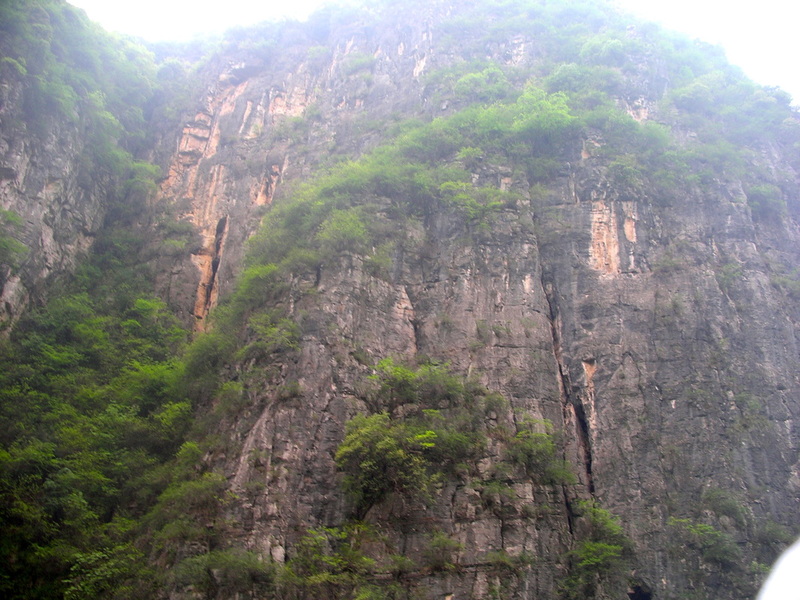 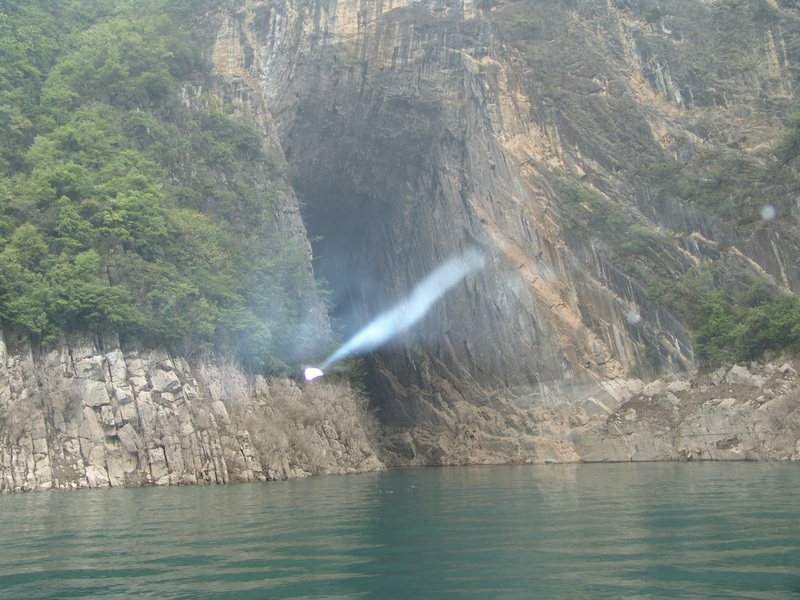 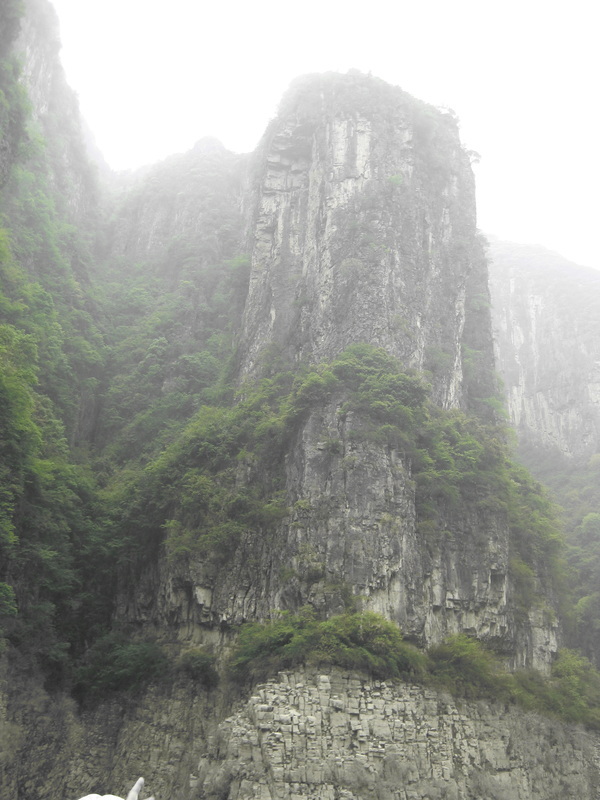 We sailed through Xiling Gorge, the longest gorge within the Three Gorges, known for its swift currents and dangerous shoal. 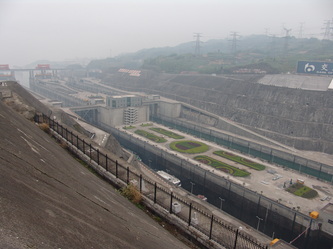 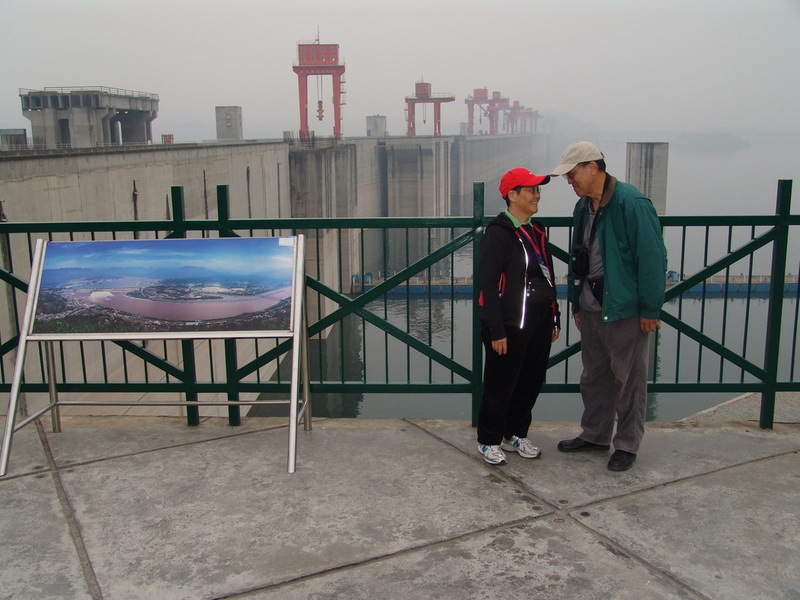 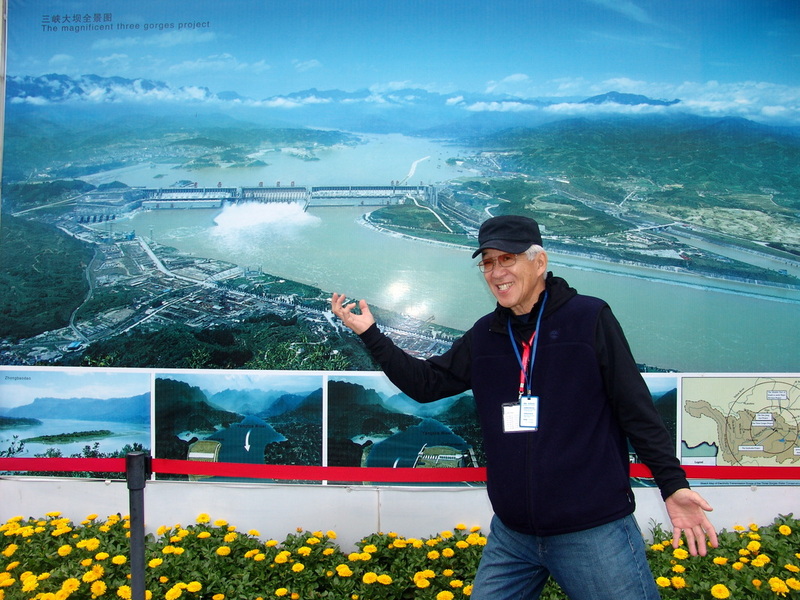 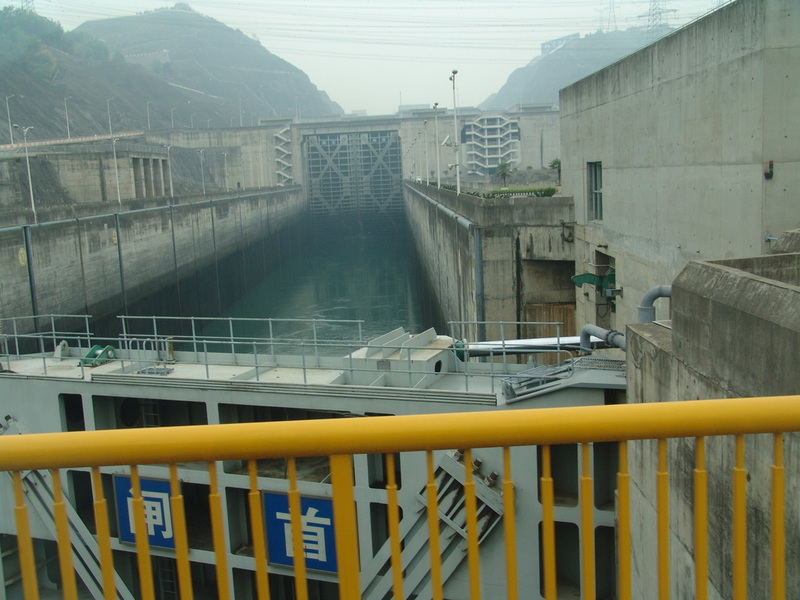 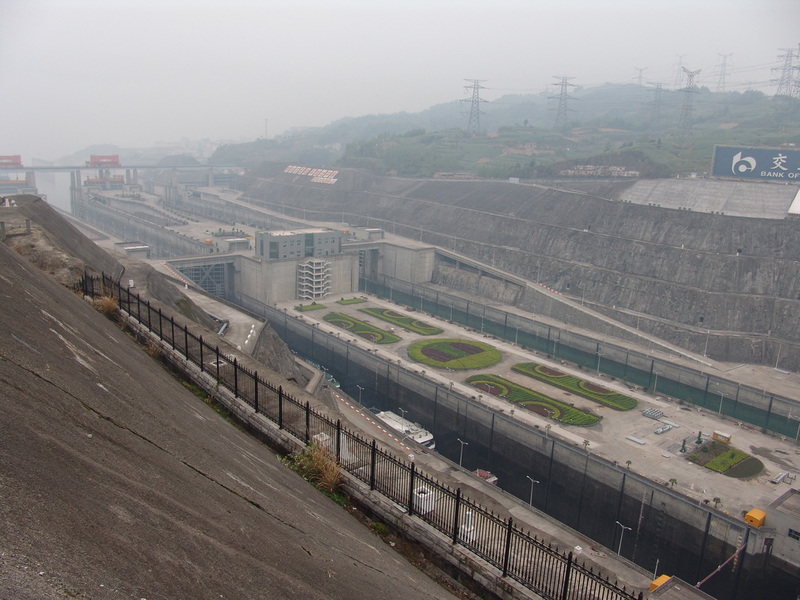 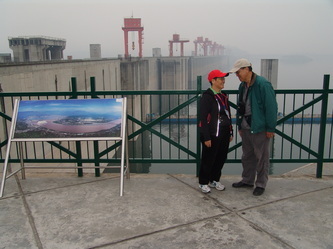 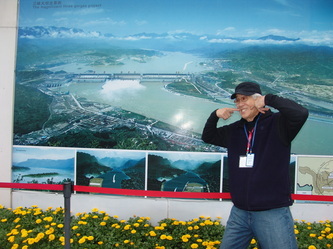 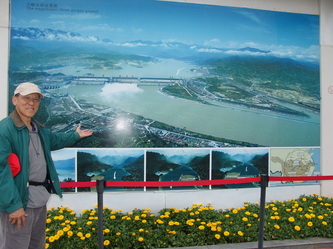 Then, took a shore excursion to the worksite of the Three Gorges Dam Project which was an eye opener for all who visit China! 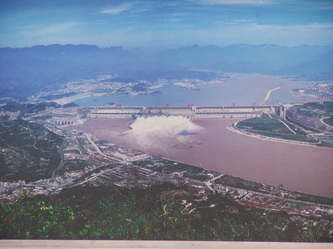 It is the biggest dam in the world! 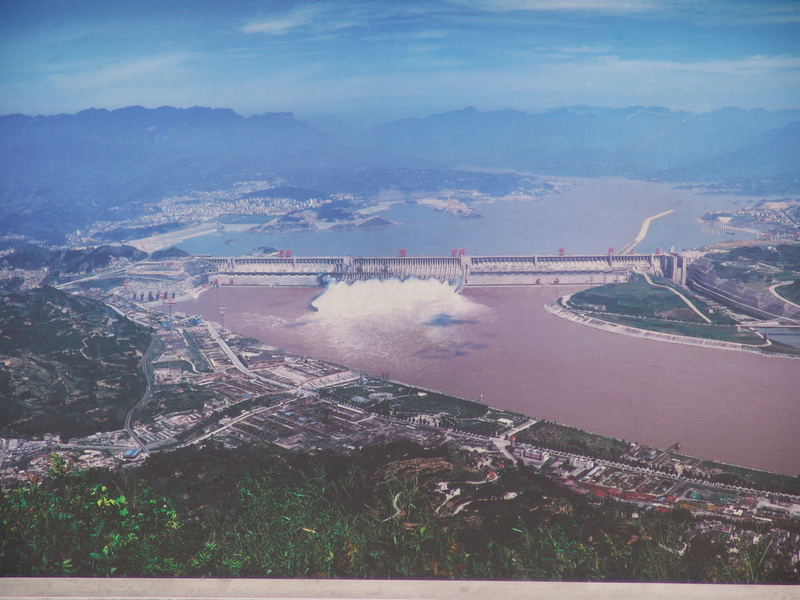 Who would ever think that China, a nation with such a long and colorful history and untouched beauty, would ever undertake such a modern conservation project to use the Yangtze River to help generate energy and to prevent floods? 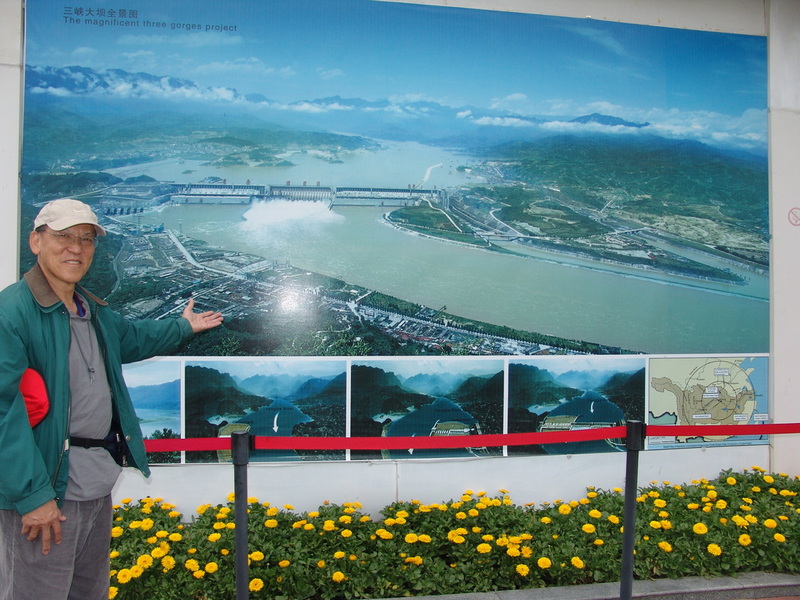 Needless to say, this experience to see this major project surely validates the advancement in the field of science and hydropower in China! !